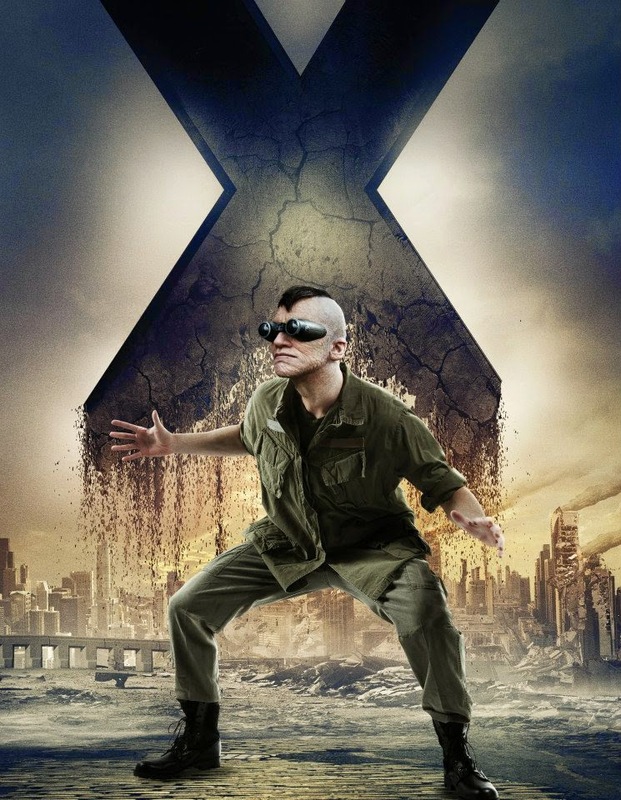 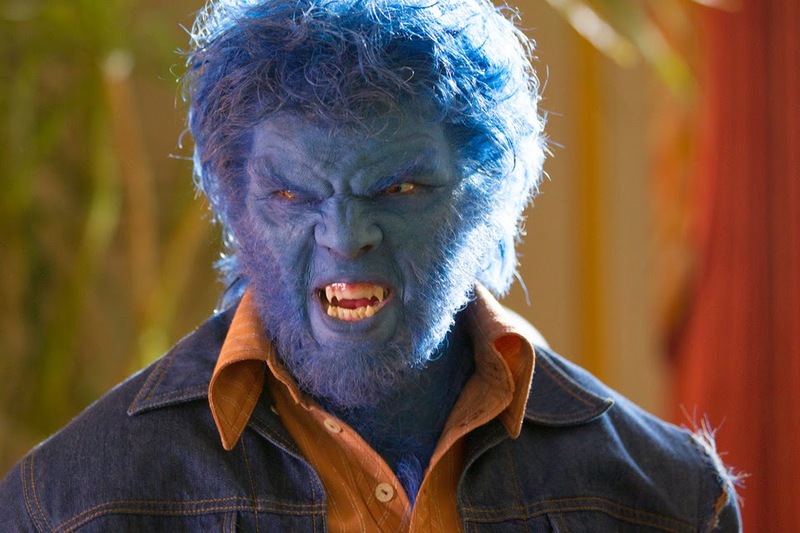 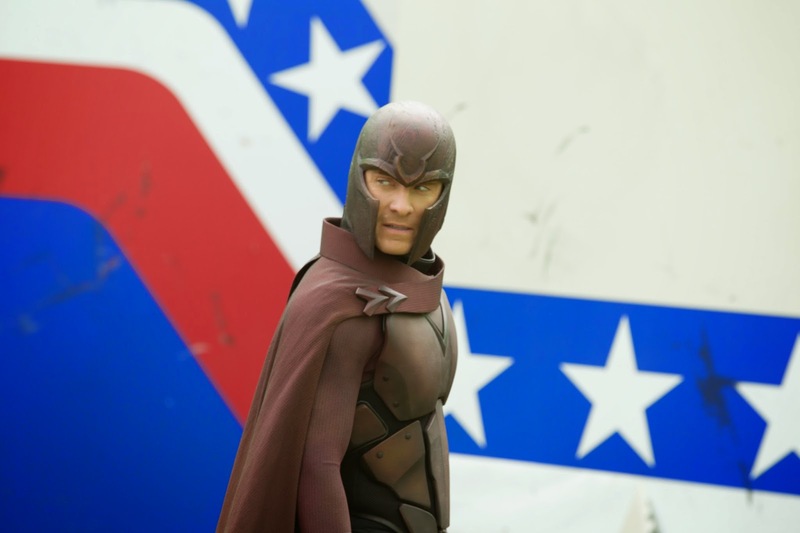 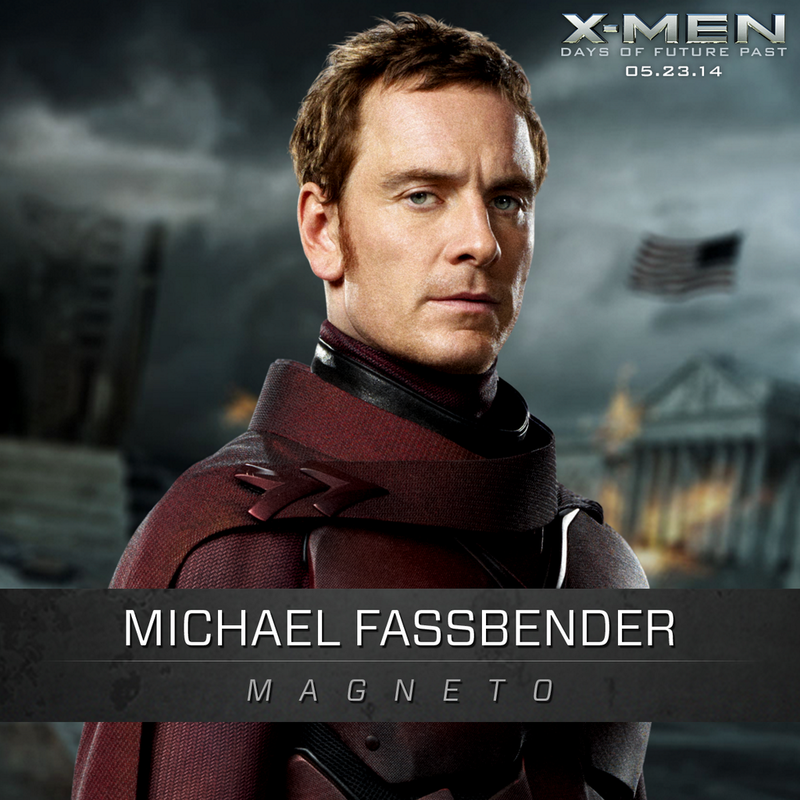 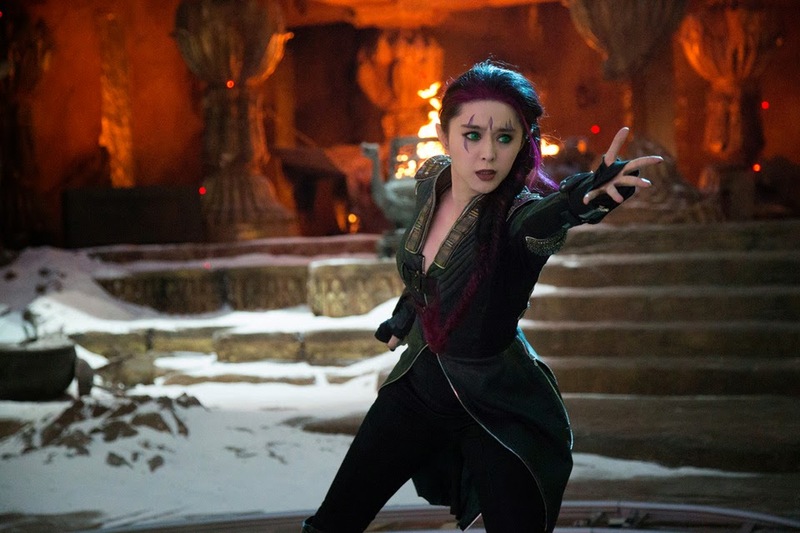 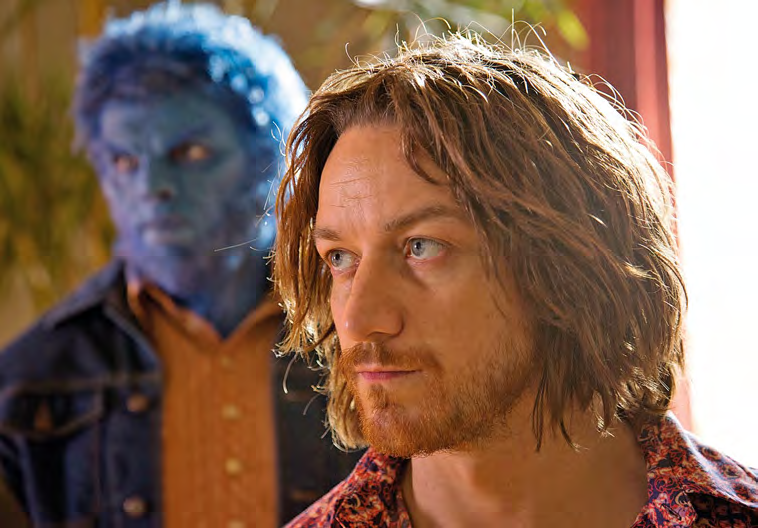 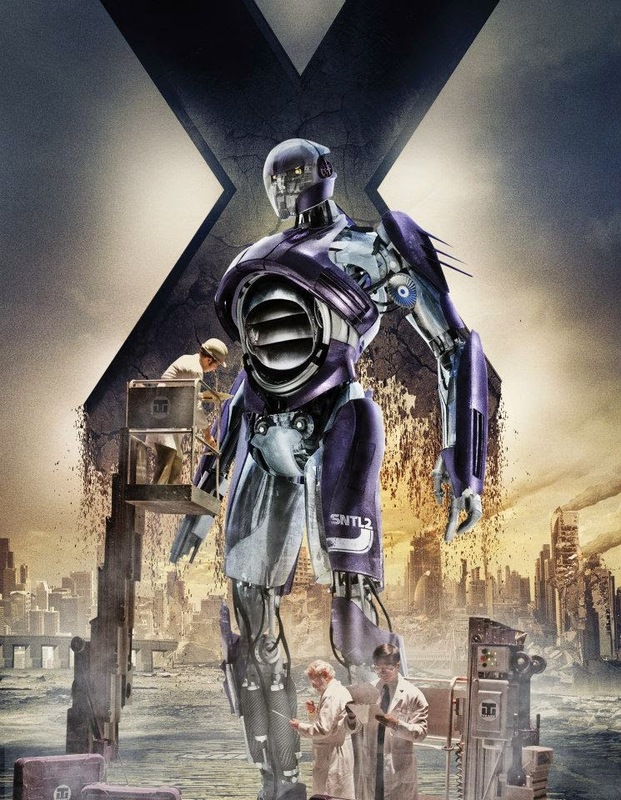 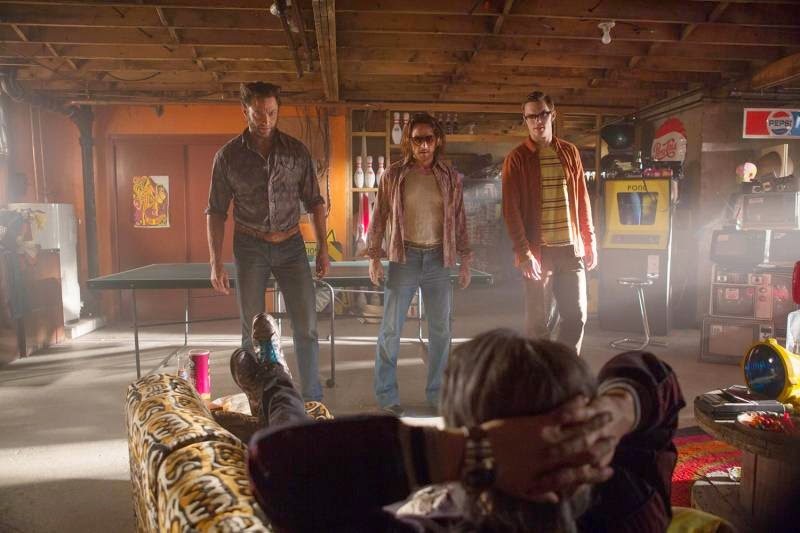 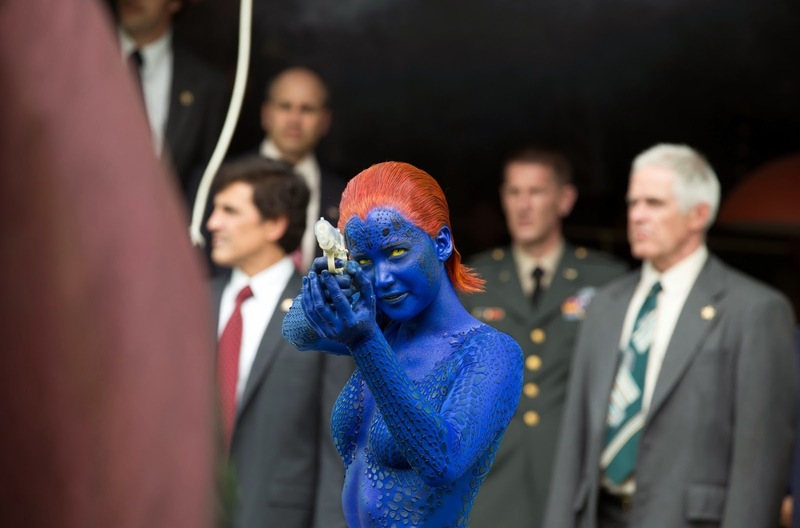 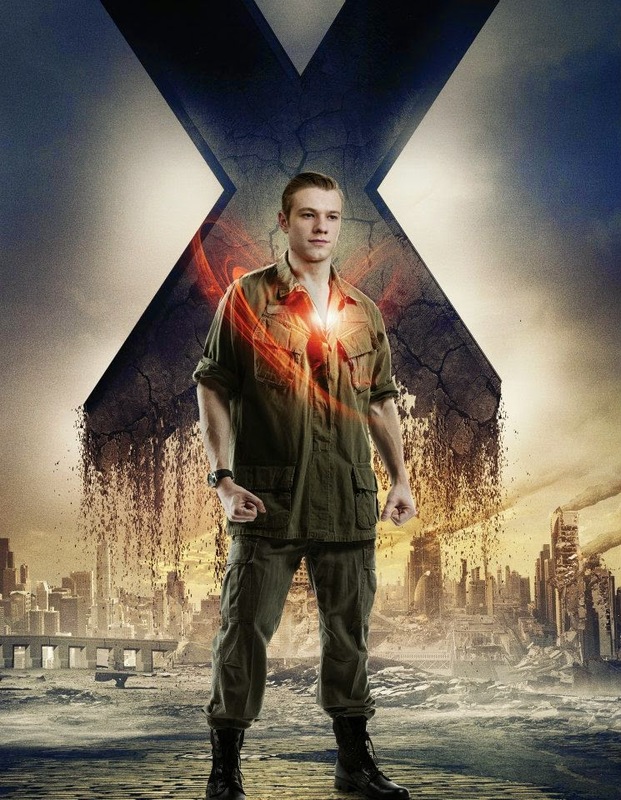 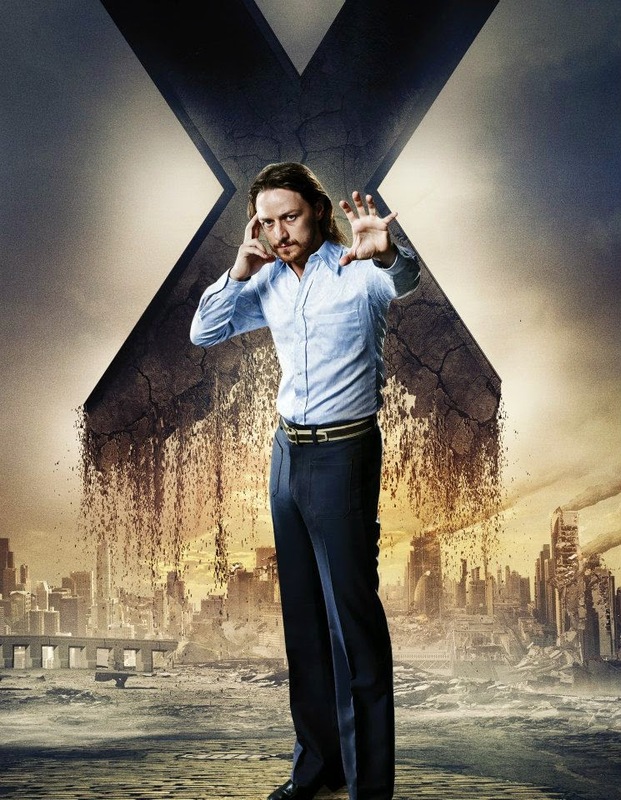 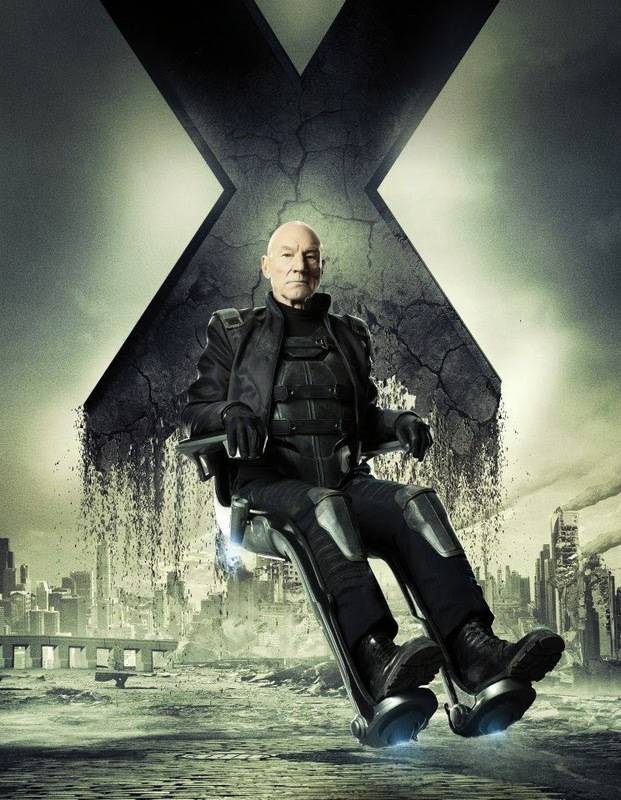 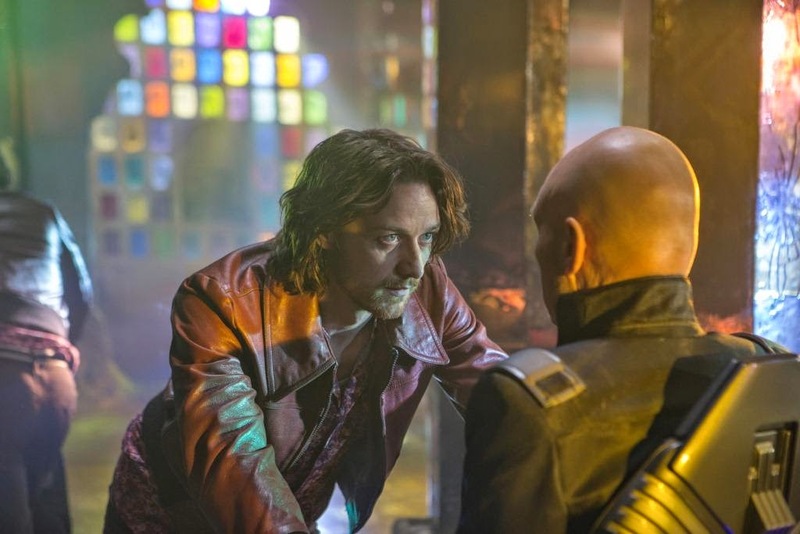 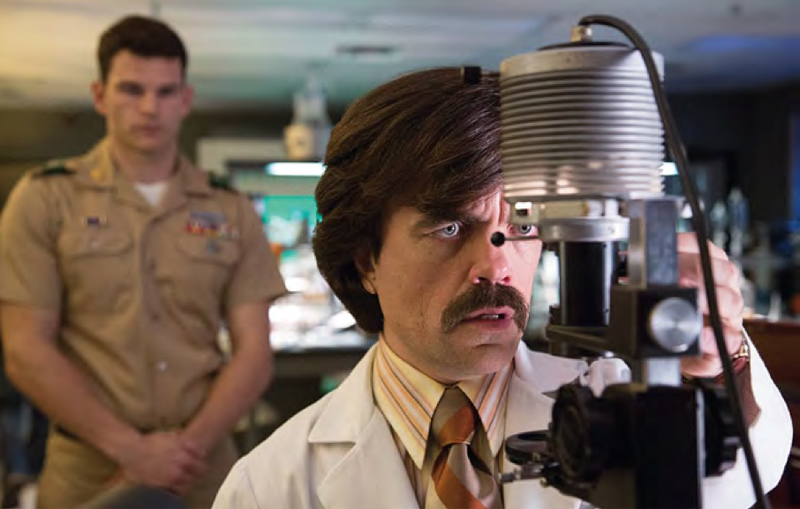 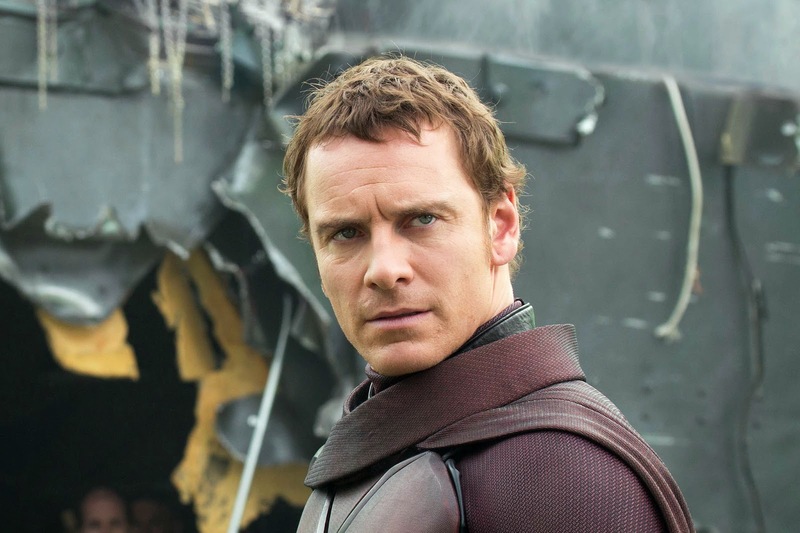 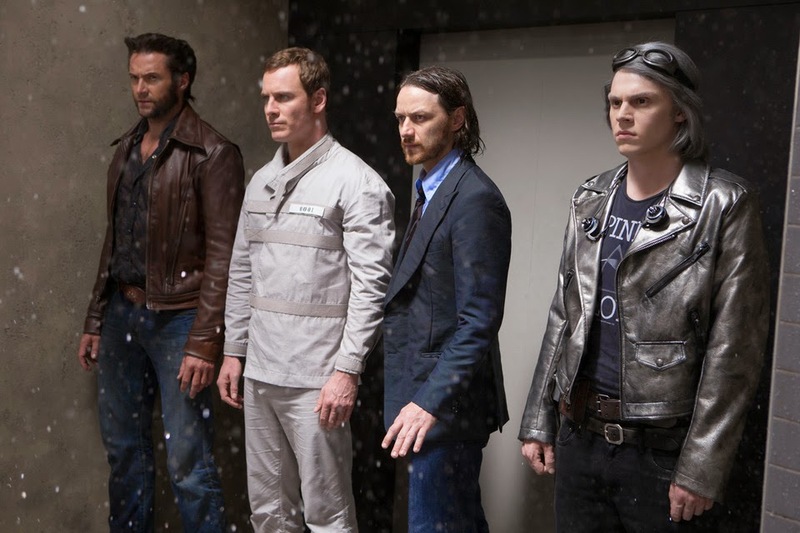 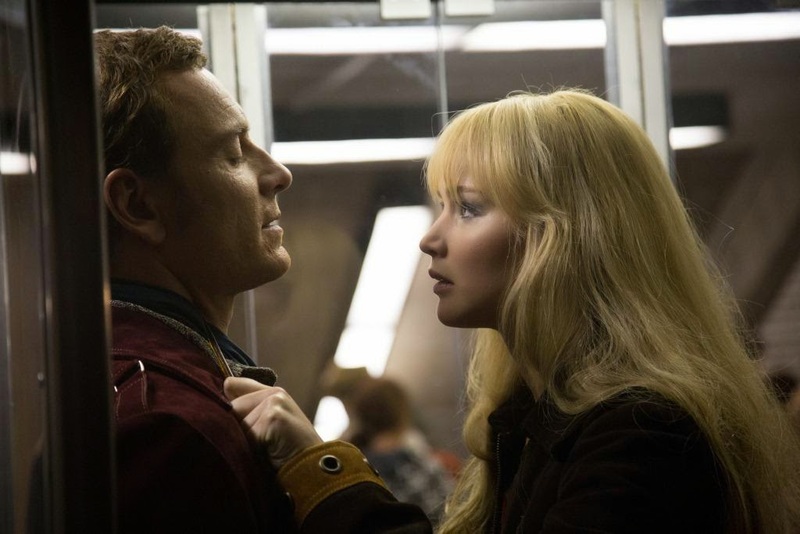 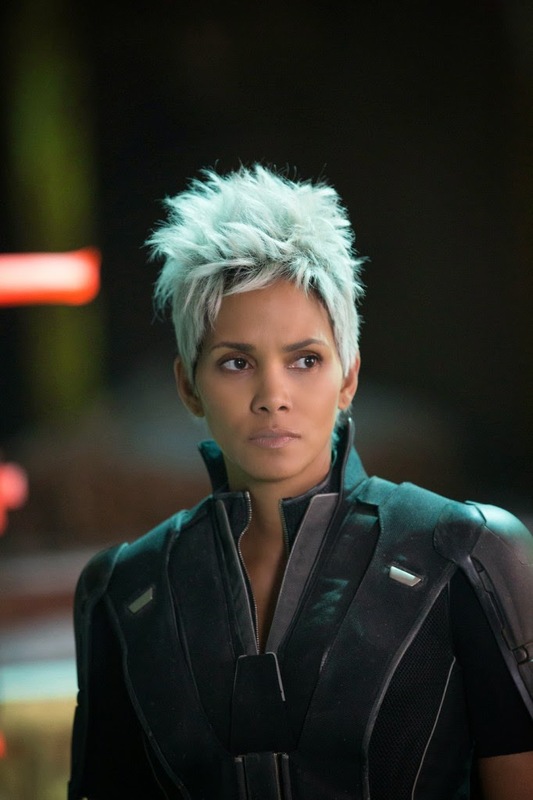 X marks the very spot this weekend as The Daily Zombies' most anticipated film of the year, X-Men: Days of Future Past, hit the silver screen. 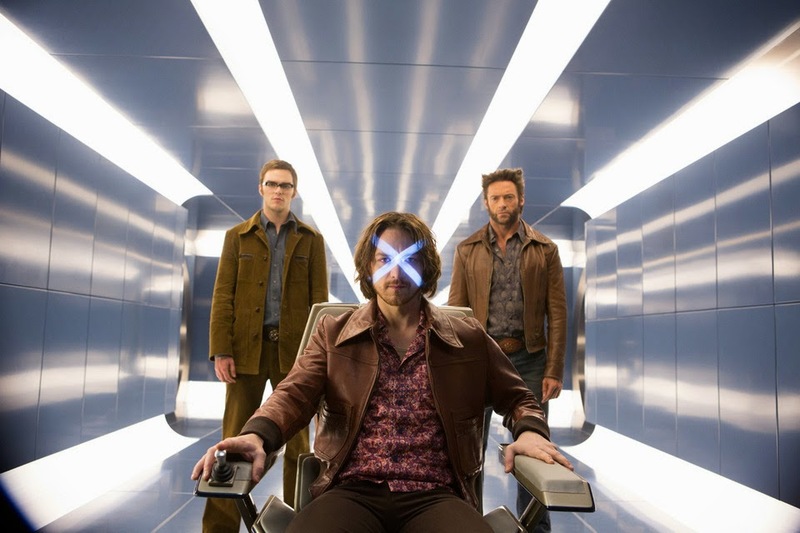 With the release of the 20th Century Fox and Bryan Singer's ensemble superhero epic, we take a final look at the film that is easily one of the most ambitious films of 2014. 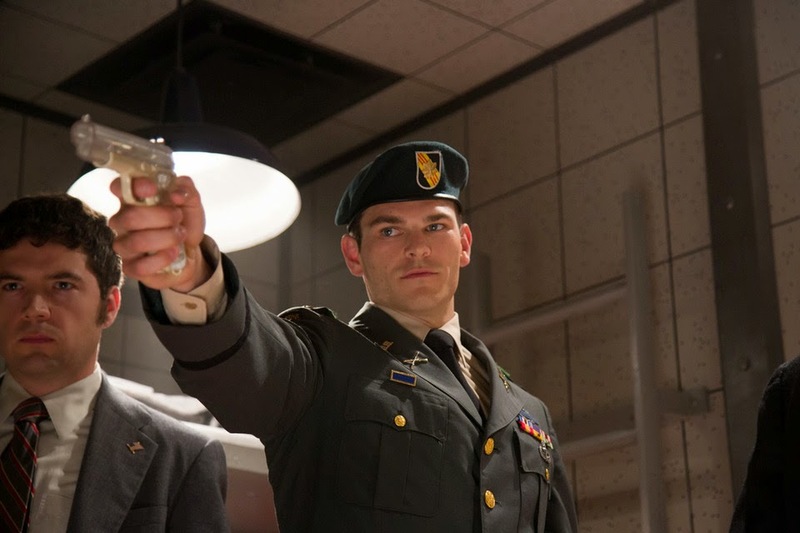 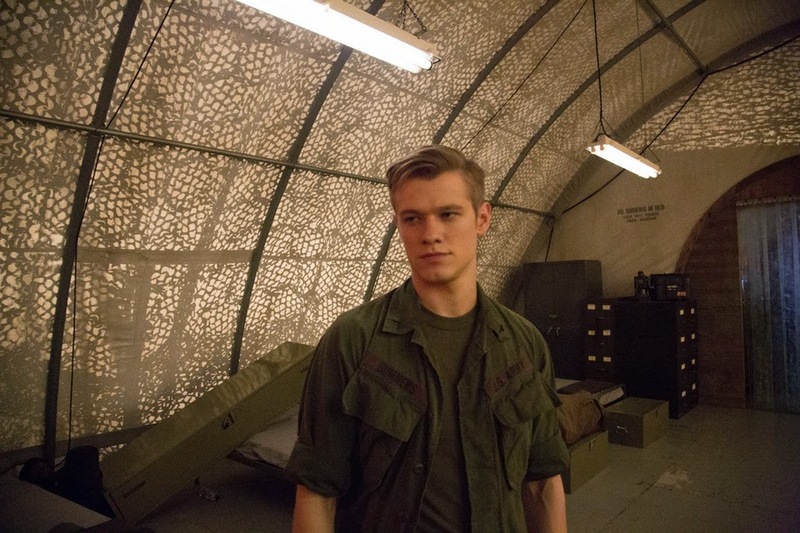 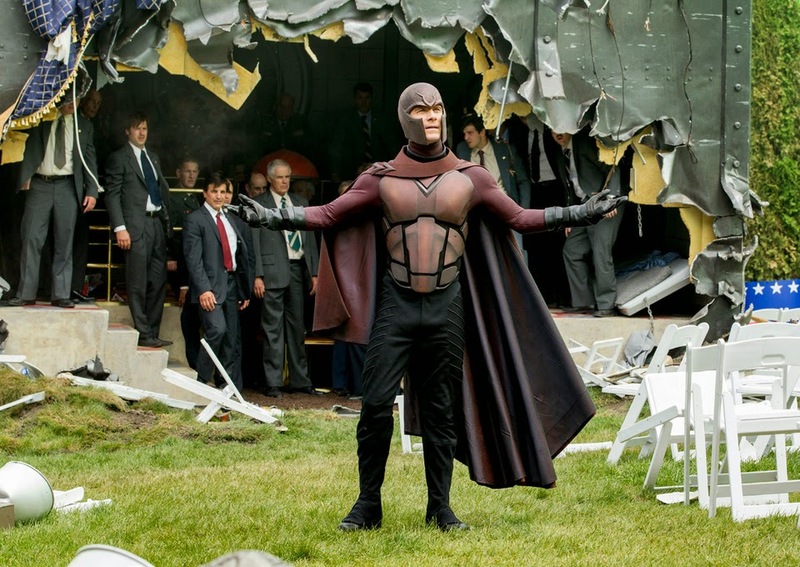 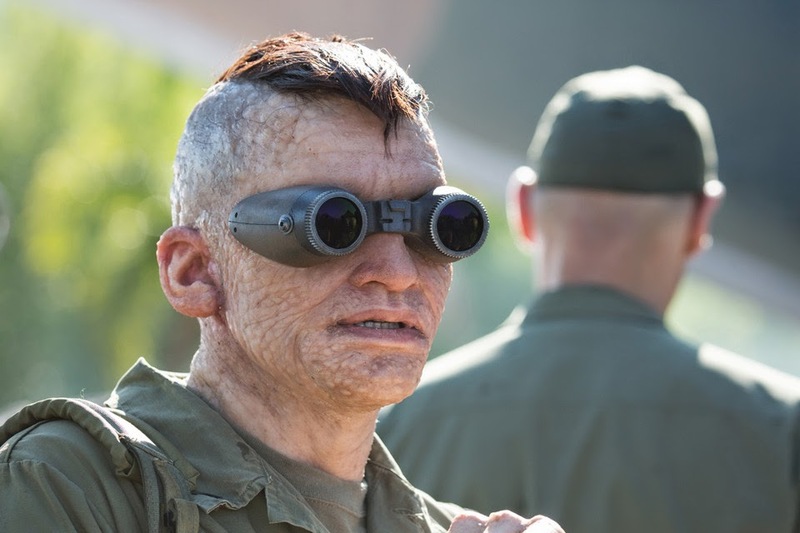 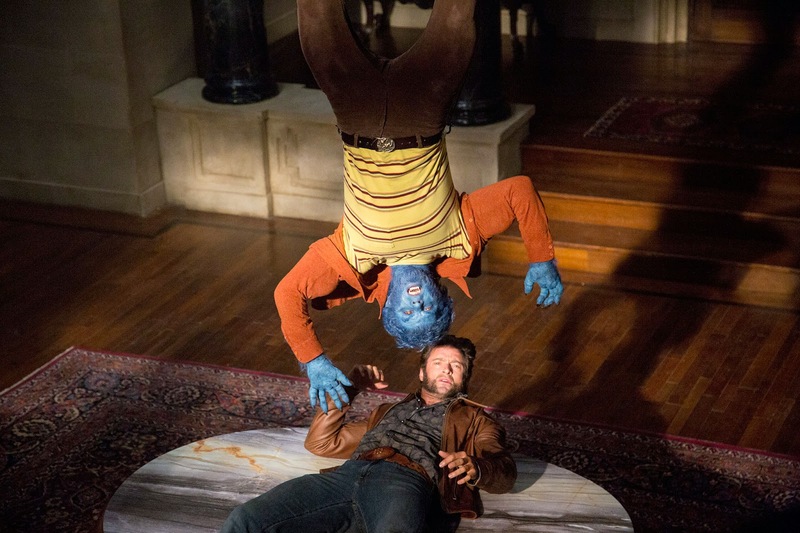 First and foremost, we here at The Daily Zombies are big fans of Matthew Vaughn's X-Men: First Class, which effortlessly resuscitated the otherwise gradually dying franchise of 20th Century Fox's live-action adaptation of Marvel Comics' marvelous world of mutants no thanks to Brett Ratner's horrendous showing of the third film of the series back in 2006, X-Men: Last Stand. 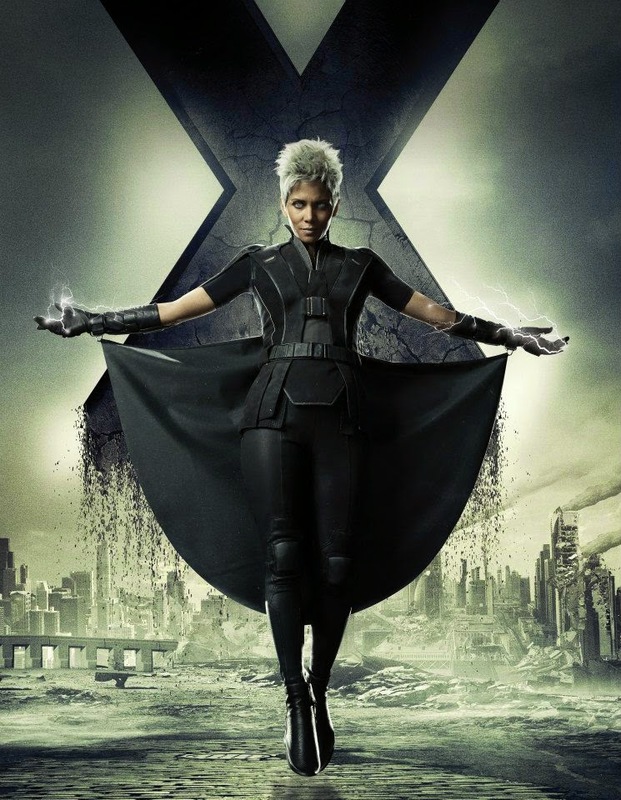 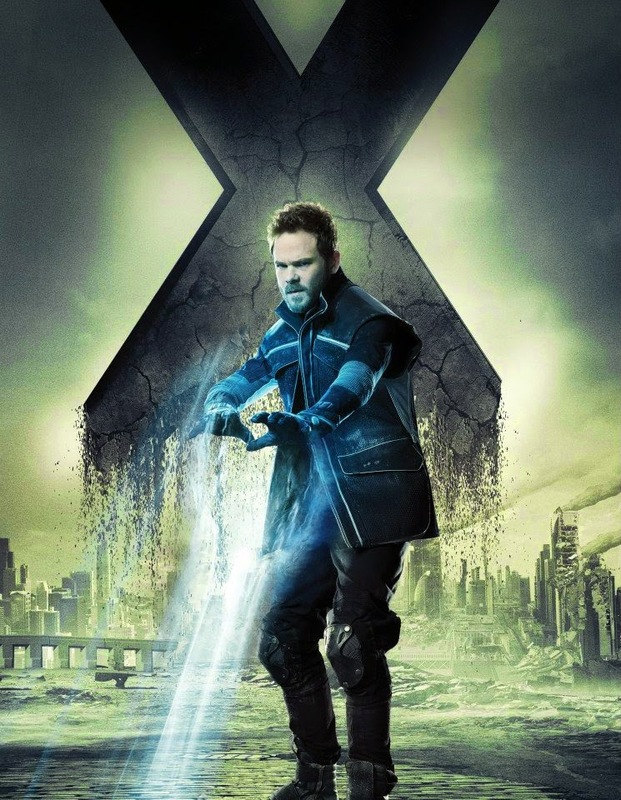 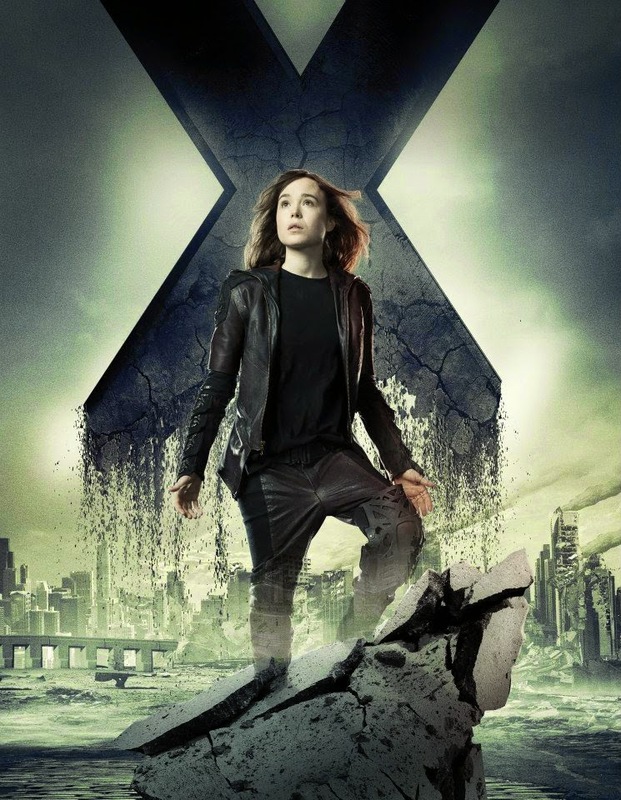 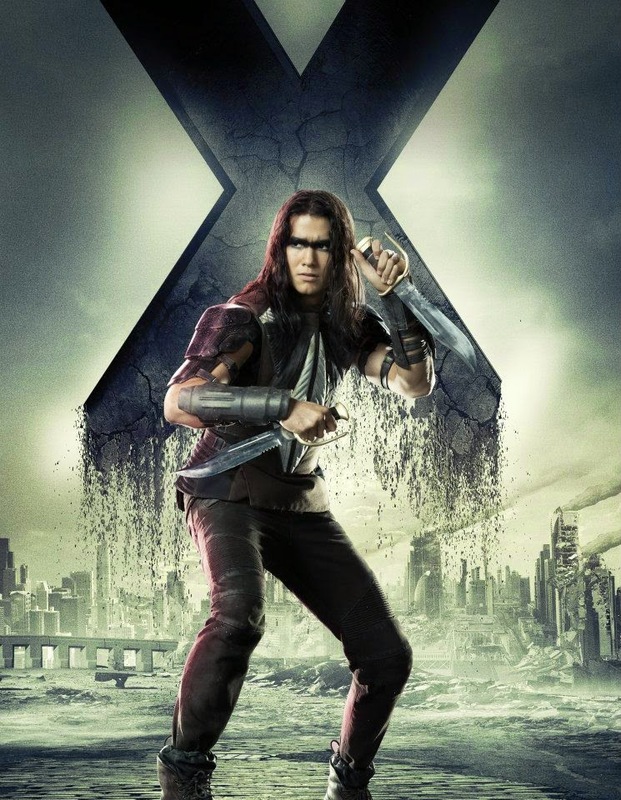 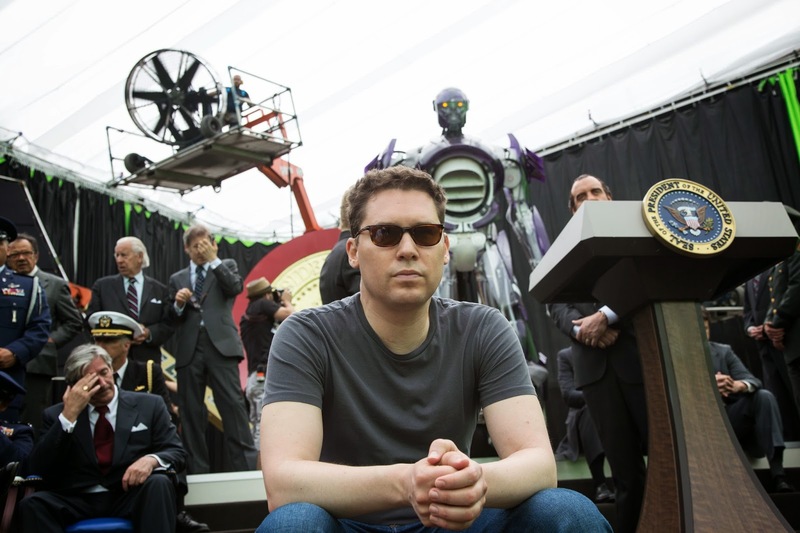 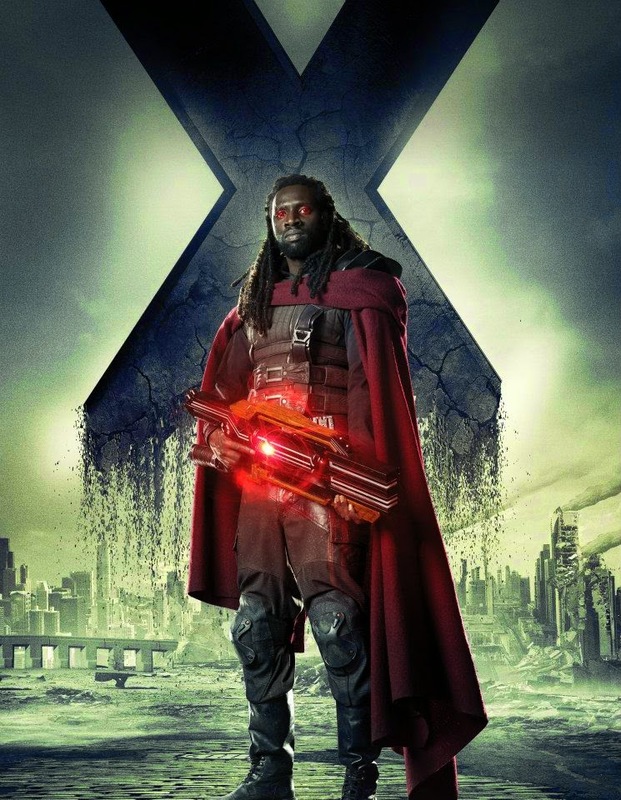 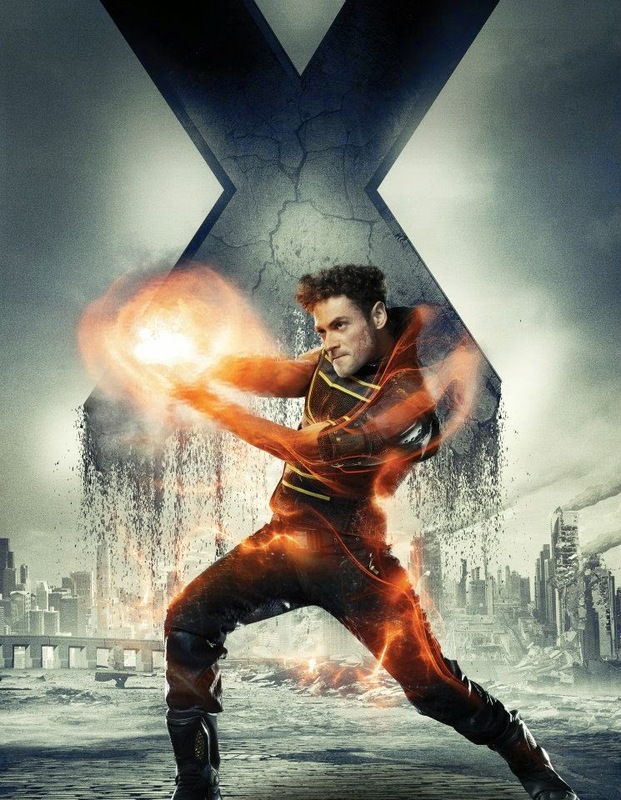 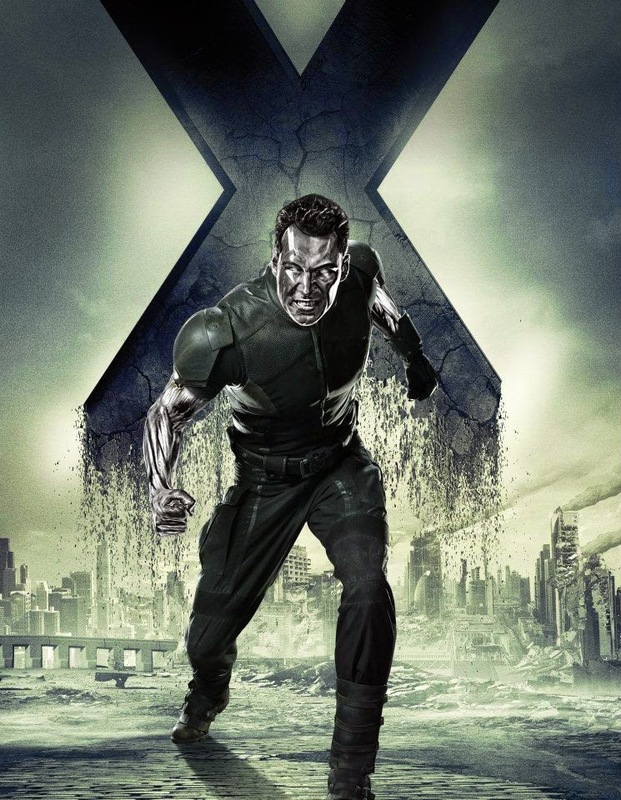 While any sequels continuing the moving rivalry and conflicts between the mutants are good enough for me, 20th Century Fox, as well as its producers, Lauren Shuler Donner, Bryan Singer, Simon Kinberg, and Hutch Parker decided to go where no superhero film franchises have gone before by ambitiously soft-rebooting the fourteen-year-old franchise through a conscious effort depicted on screen. 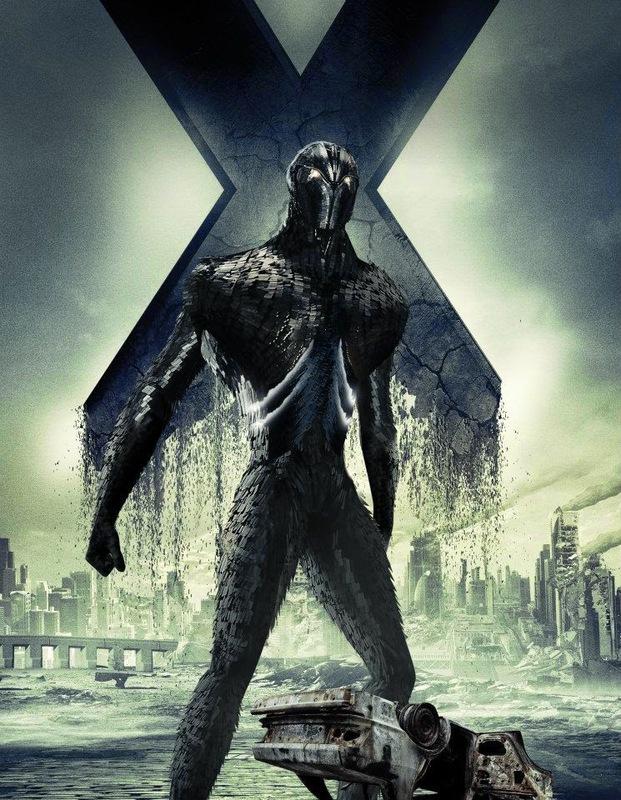 Bear in mind that this is not the same as Sony's outright reboot of Marc Webbs' The Amazing Spider-Man over Sam Raimi's earlier Spider-Man trilogy or Warner Bros, Pictures' relaunch of Batman in Christopher Nolan's 2005 Batman Begins, which has by now became the staple example of a successful reboot. 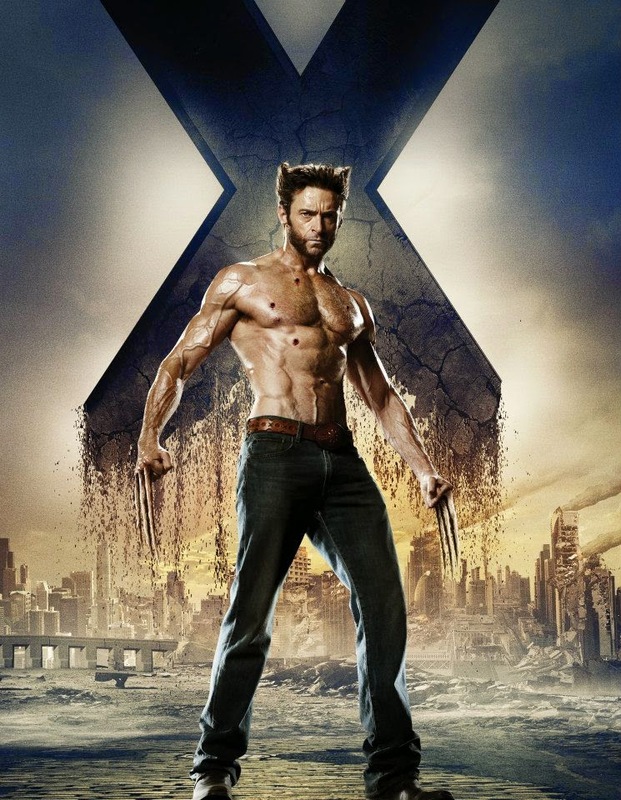 Led by unquestionably the protagonist of the series, Hugh Jackman's mega-successful portrayal of Wolverine (so successful that we have seen two solo movies spinning off the main series), the film-makers are fixing the franchise that have been led astray by engaging the audience in what have been reportedly the second-most expensive film ever produced by the studio (a budget of an estimated $225 million, slightly dwarfed by number one on the list, James Cameron's Avatar at $237 million, according to Hollywood Report). 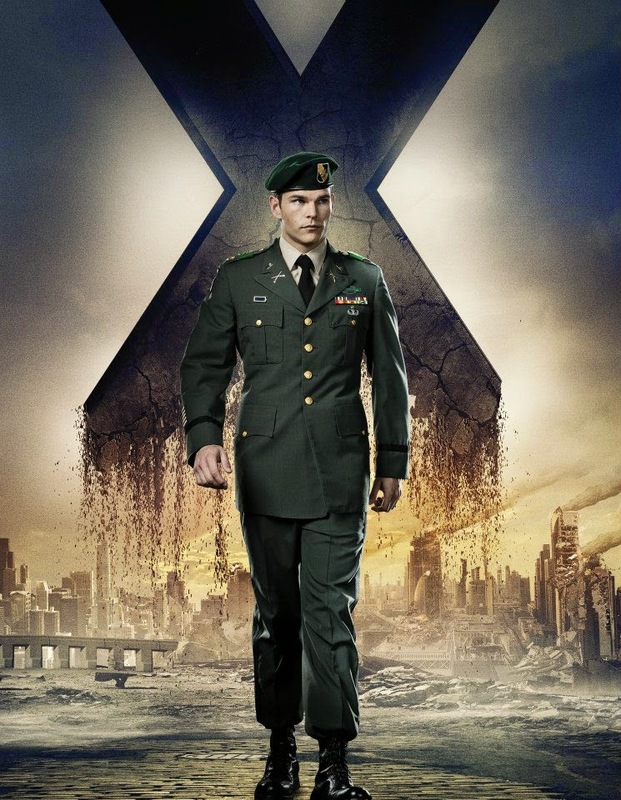 X-Men: First Class. 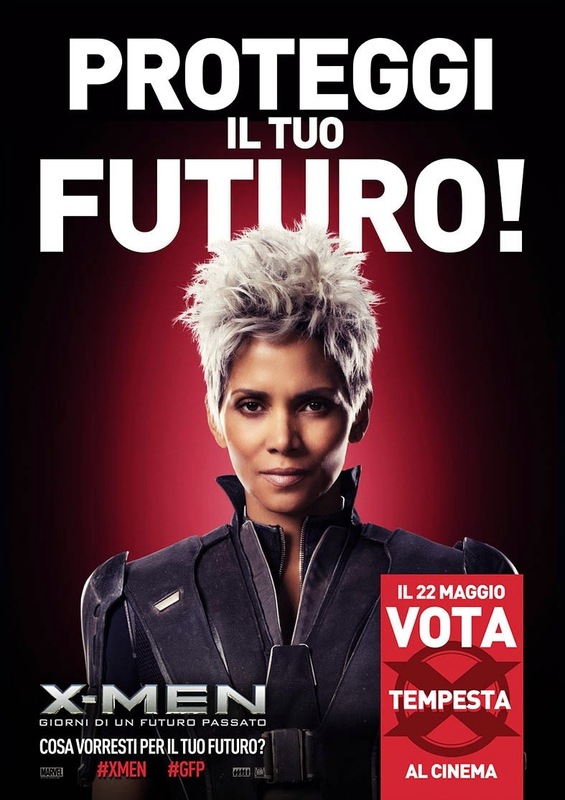 In doubt? 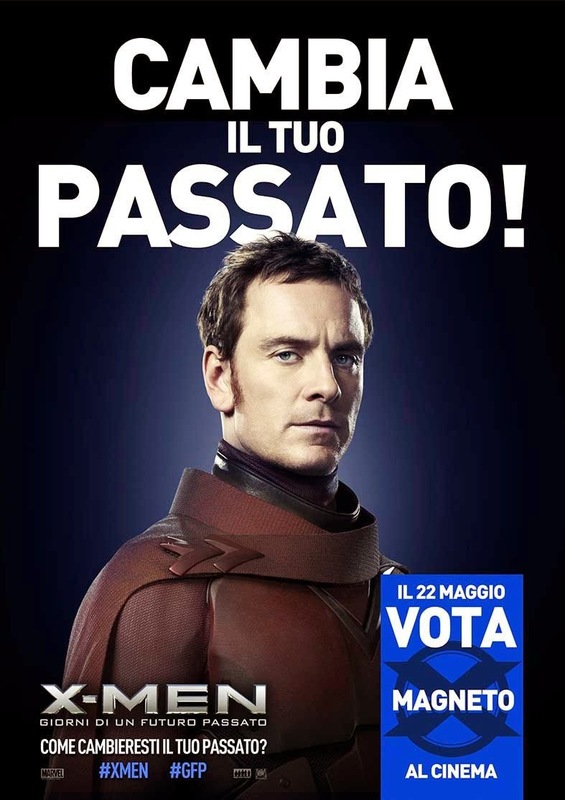 Well, I have spoken to a good population of the chicks to have that statistics in hand: They freaking dig it, as well as a sensible Michael Fassbender. 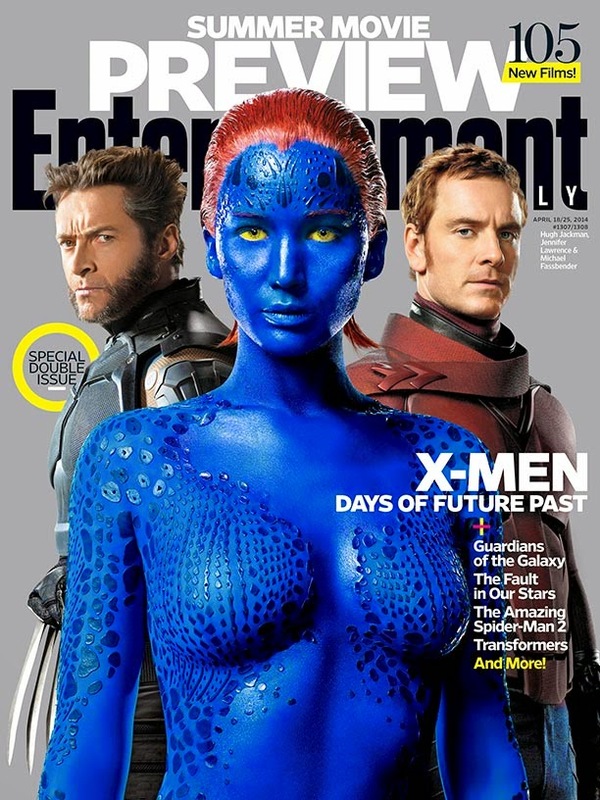 Notwithstanding, the folks here at The Daily Zombies, dig it too. 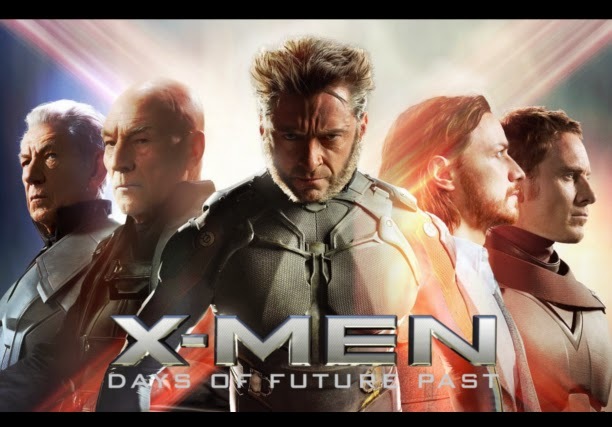 Easily the most ambitious superhero film since Marvel Studios' box office-smashing, film industry-changing success with The Avengers, X-Men: Days of Future Past has been on the very top of the list for the Most Anticipated Film of 2014 here at The Daily Zombies. 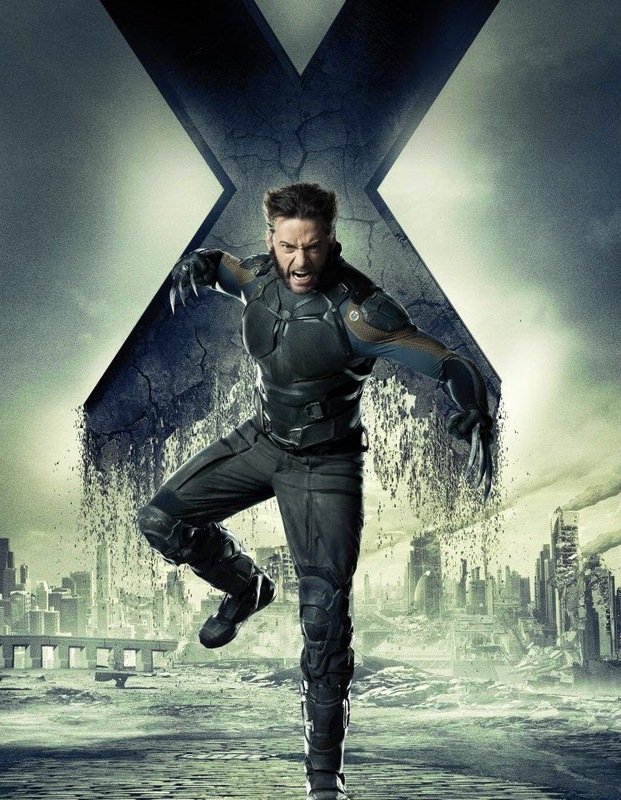 With superhero mania running all over Hollywood as of late, it is only right that the gathering of the cinematic interpretations of Marvel's merry mutants at 20th Century Fox requires this level of fan anticipation especially given the fact that the seventh film in the X-Men film franchise (including the Wolverine films) is the second-most expensive film ever produced by the studio (a budget of an estimated $225 million, slightly dwarfed by number one on the list, James Cameron's Avatar at $237 million, according to Hollywood Report). 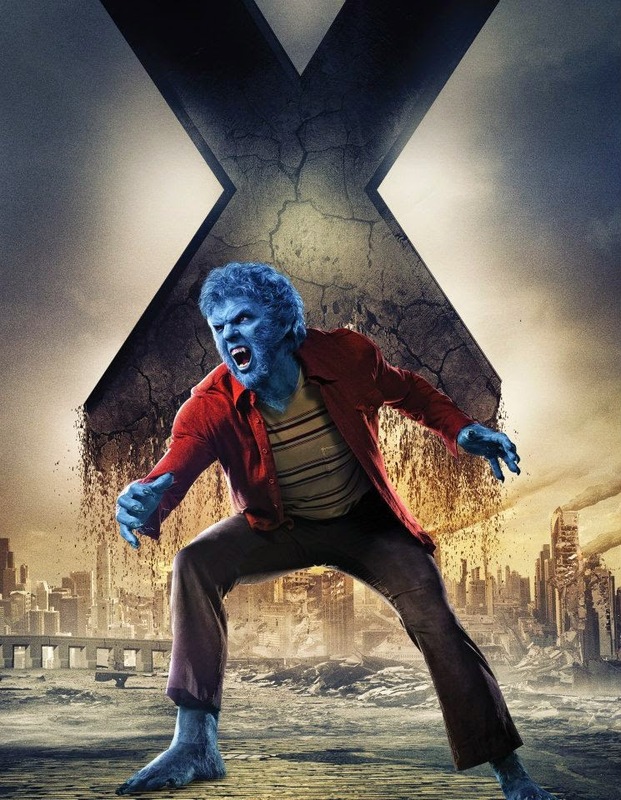 Based on the fan-favorite story arc during Chris Claremont and John Byrne's classic run in "Uncanny X-Men" #141 and 142 back in 1981, Days of Future Past introduced fans to a dystopian future gripped with anti-mutant sentiments as a result of a massive backlash of mankind in response to the death of a politician (incidentally Senator Robert Kelly, the role played by Bruce Davison in the original X-Men film) by the hands of Magneto's Brotherhood of Evil Mutants. 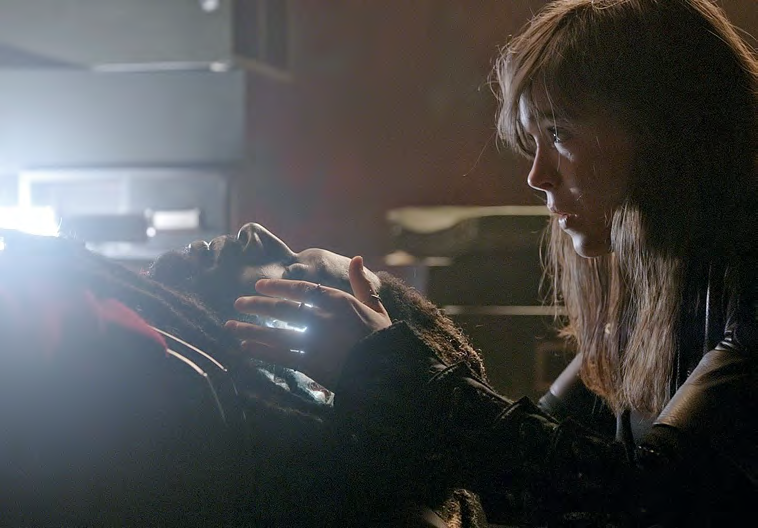 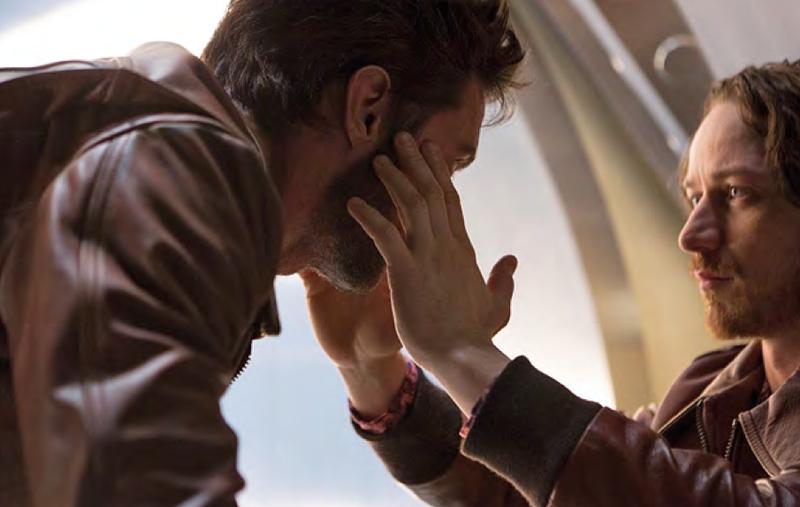 While there is no doubt that the storyline will be drastically changed now that Wolverine, instead of Shadowcat Kitty Pryde, will be making the trip back in time, we are quite certain that there will be much more revision over the original arc in order to introduce the reboot element into the film franchise. 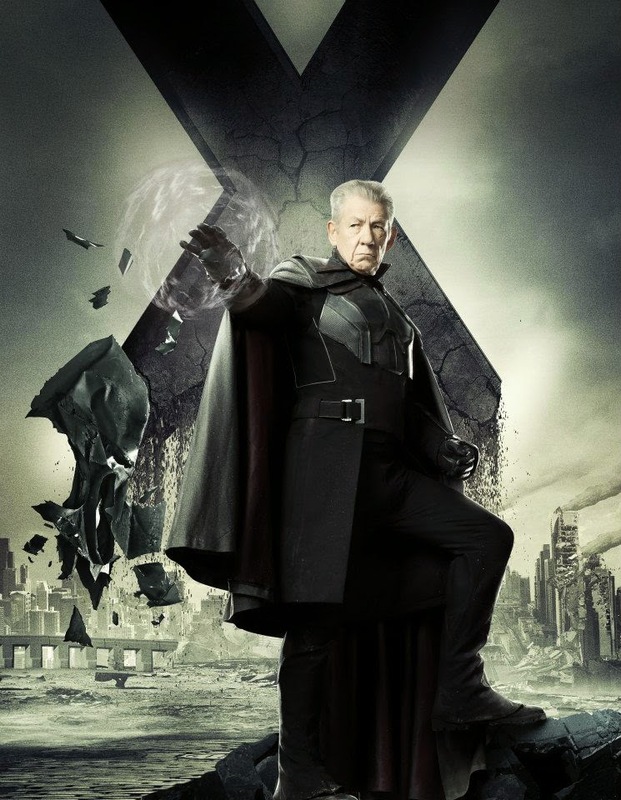 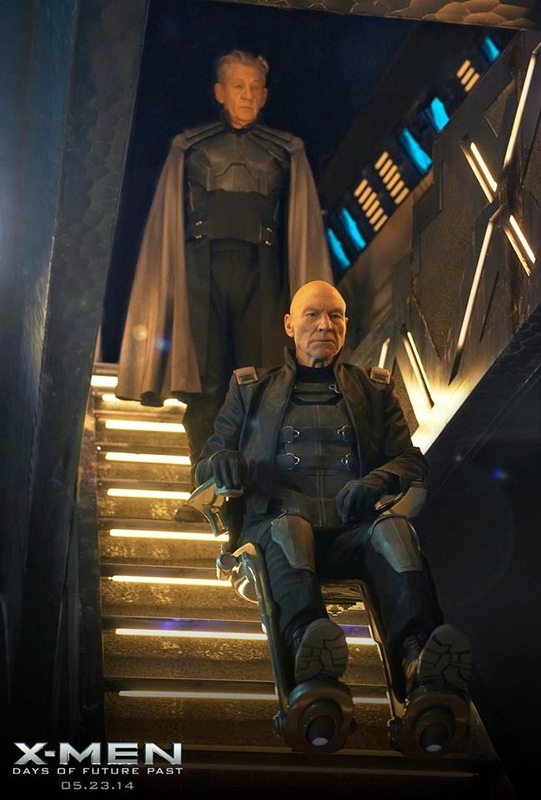 And with X-Men: Apocalypse being officially announced as the next installment for the franchise set to be released on 27th May, 2016, well ahead of the release of Days of Future Past, the level of importance of the franchise is no doubt prioritized in the eyes of the Powers-That-Be at 20th Century Fox. 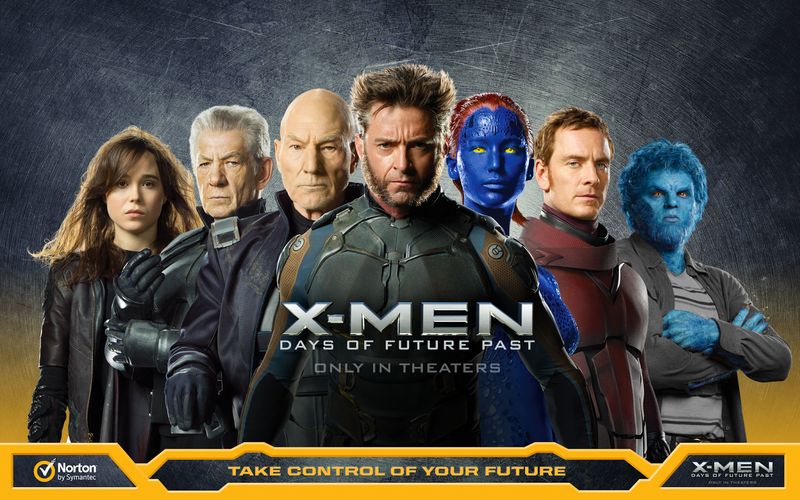 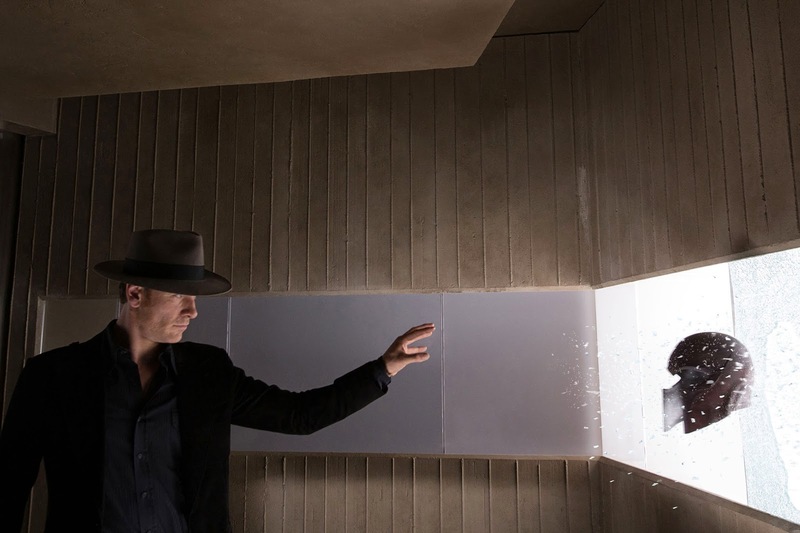 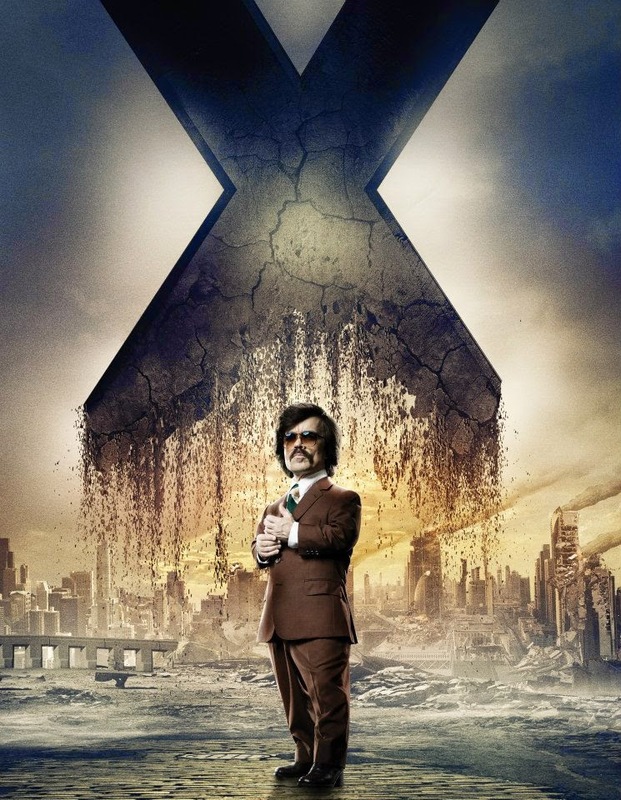 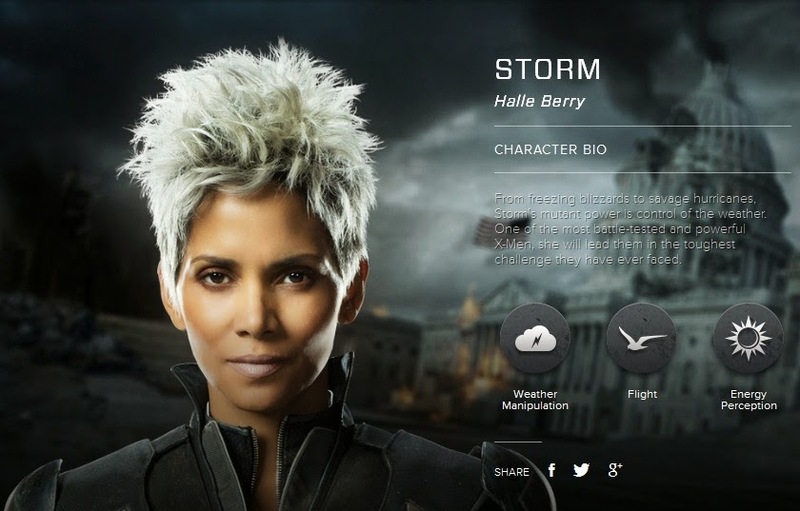 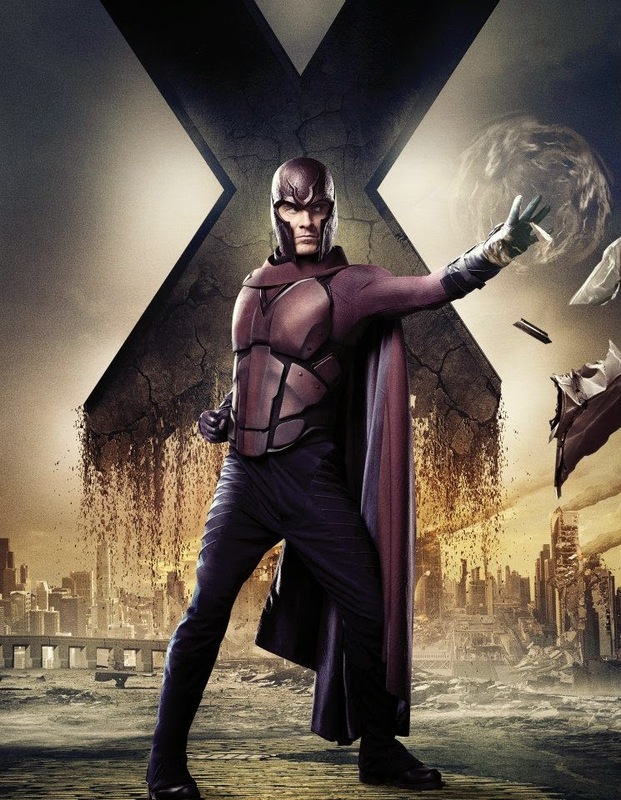 With X-Men: Days of Future Past being a totally unmissable films on so many levels, we take a final look at the film by checking out the promotional campaign of the film. 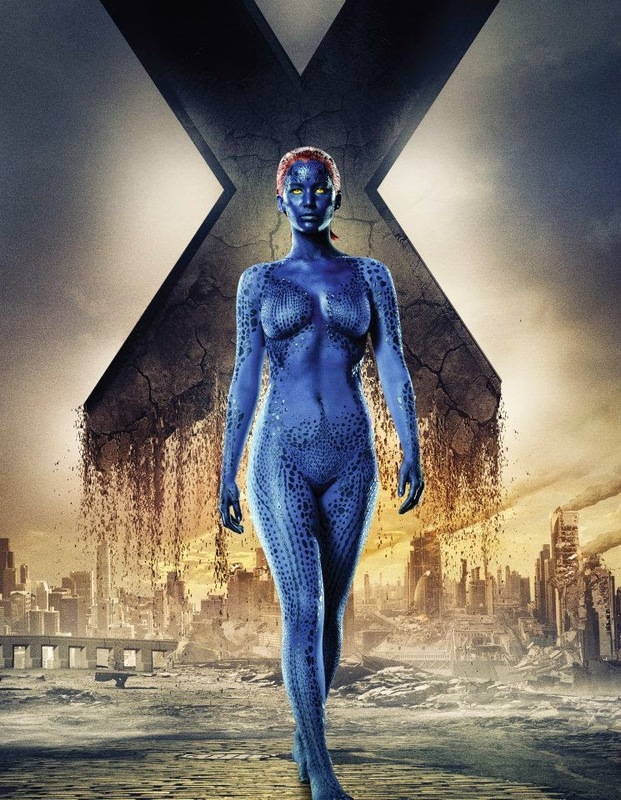 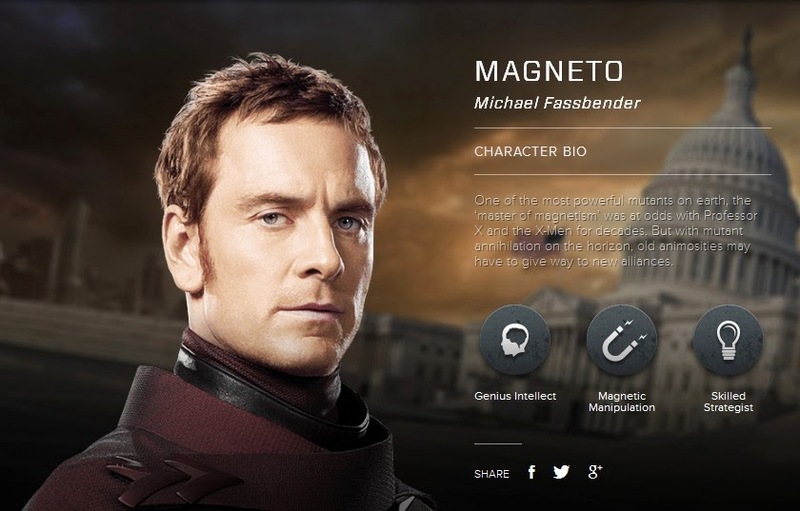 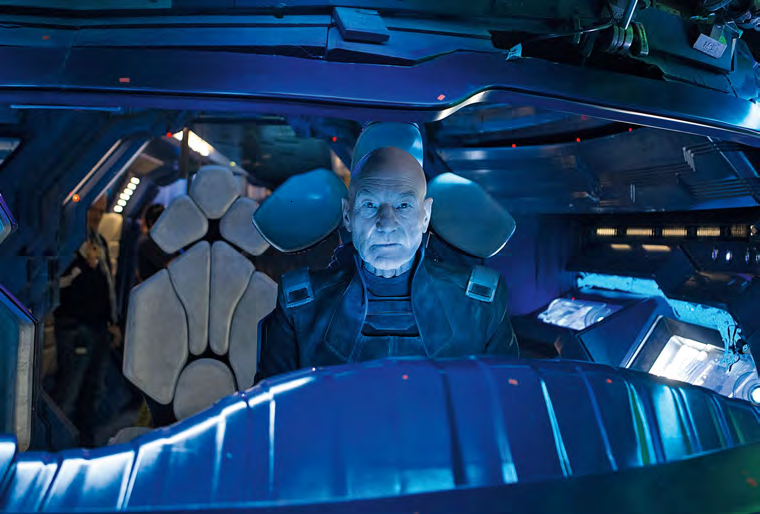 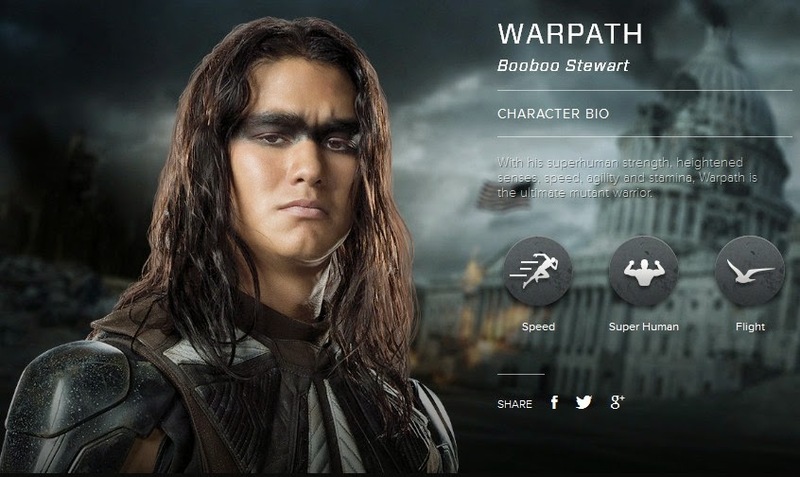 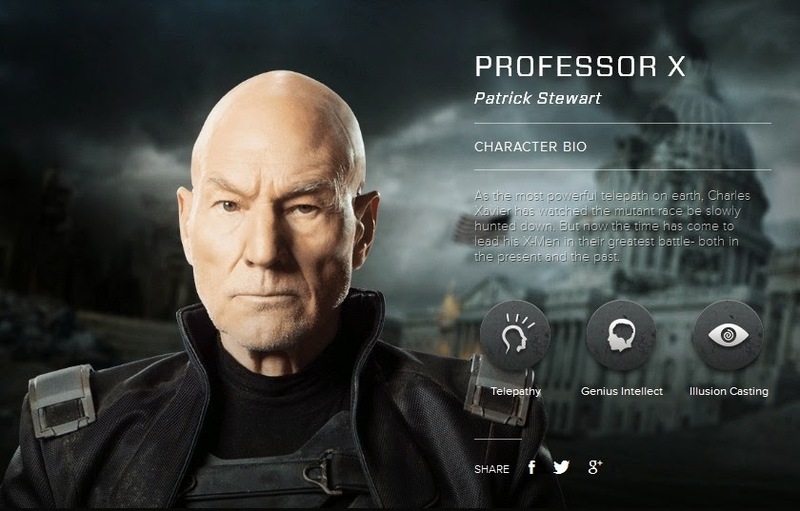 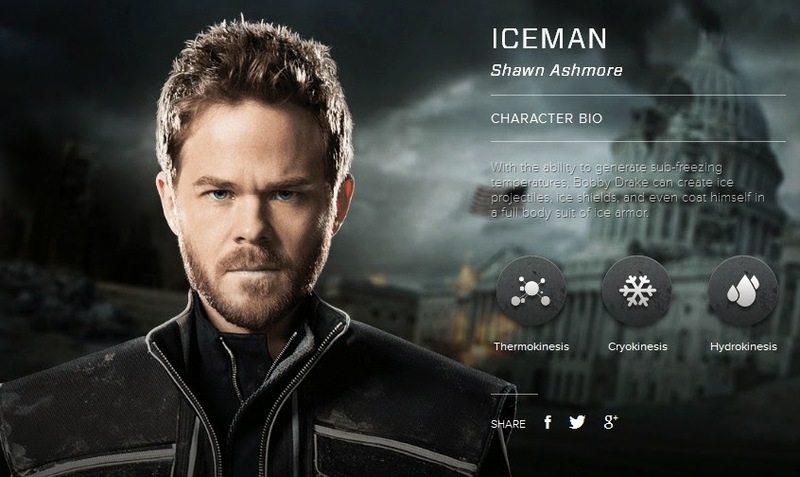 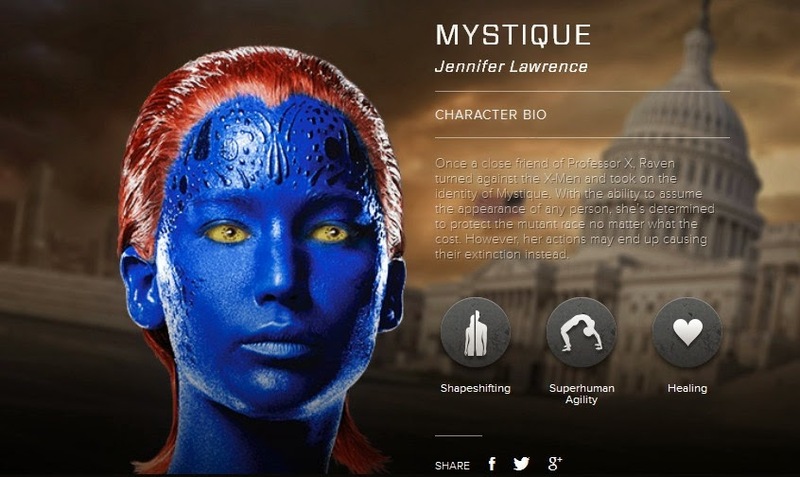 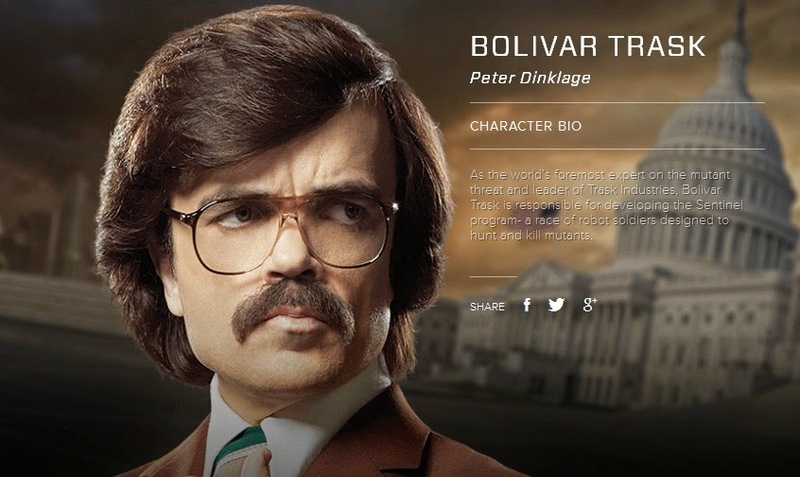 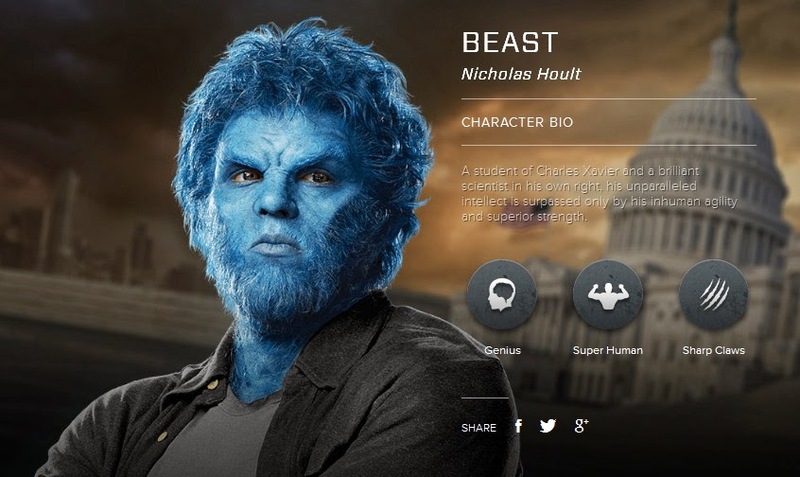 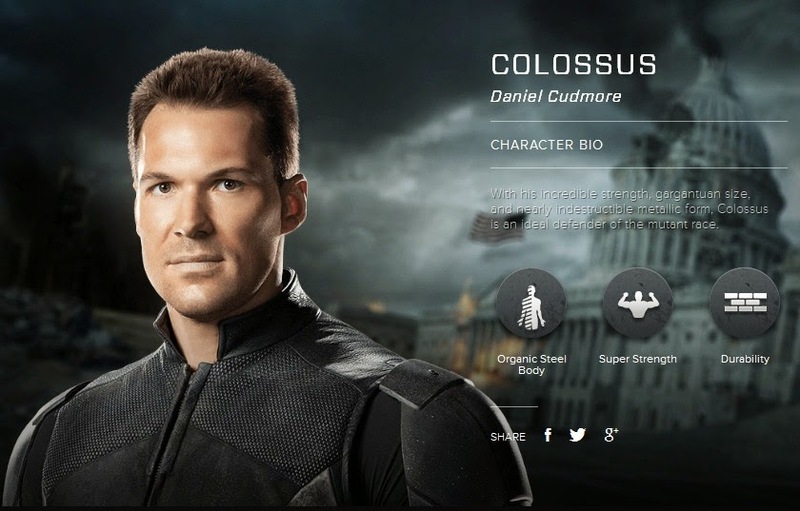 A part of the marketing campaign, an unique campaign entitled 25 Moments focused on 25 moments in modern human history of which mutant intervention went unnoticed until now. 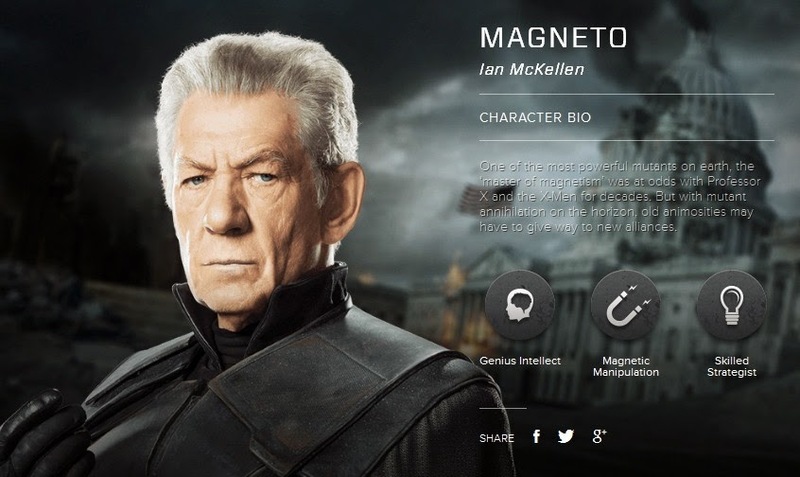 This is a pretty intriguing concept that fills in many of the unrevealed story lines in between First Class and Days of Future Past and we suspect even beyond the two films. 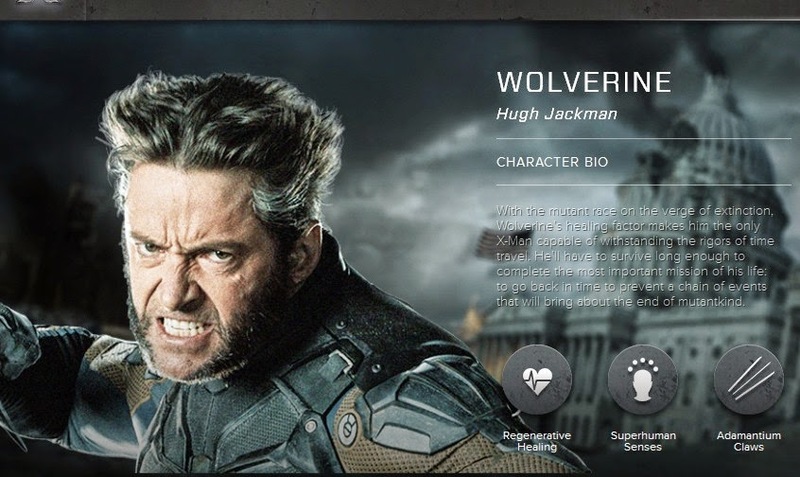 Hit the link to the 25 Moments page if you are not that concerned with spoilers and here's the trailer of the page, giving you a good glimpse on what the site contained. 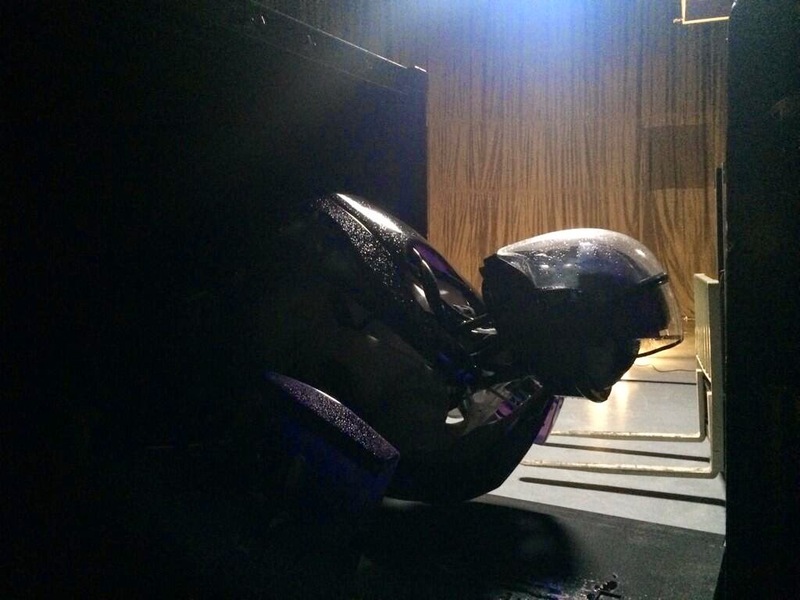 Alas, here's the final trailer that we have featured earlier on. 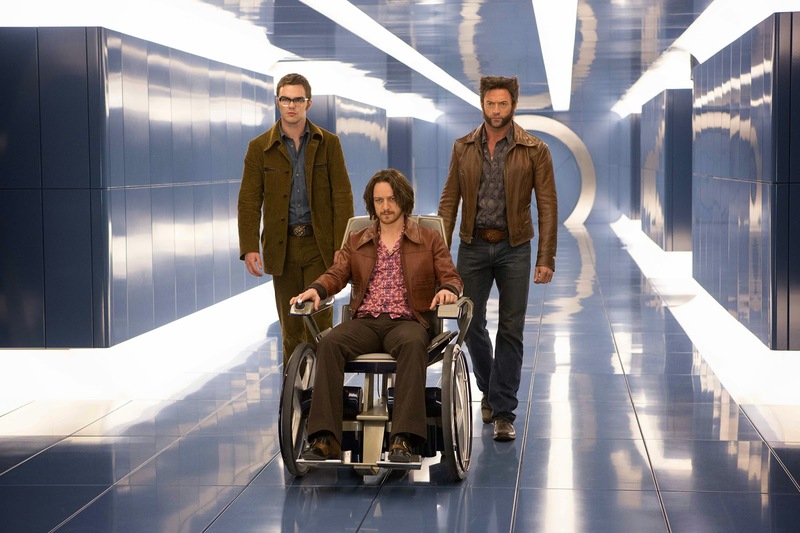 And for those who missed out on The Amazing Spider-Man 2 and are curious to know what the end credit clip cross-promoting X-Men: Days of Future Past is all about, here's the clip. 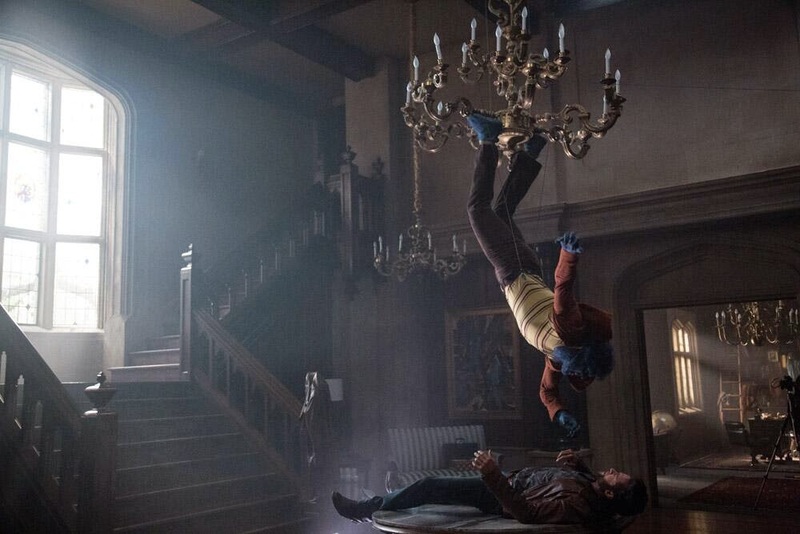 There have been a ton of clips released from the film's official YouTube channel and we really opine that it is only right for us to go in cold for this one so we will not be featuring these clips and featurettes for the film. 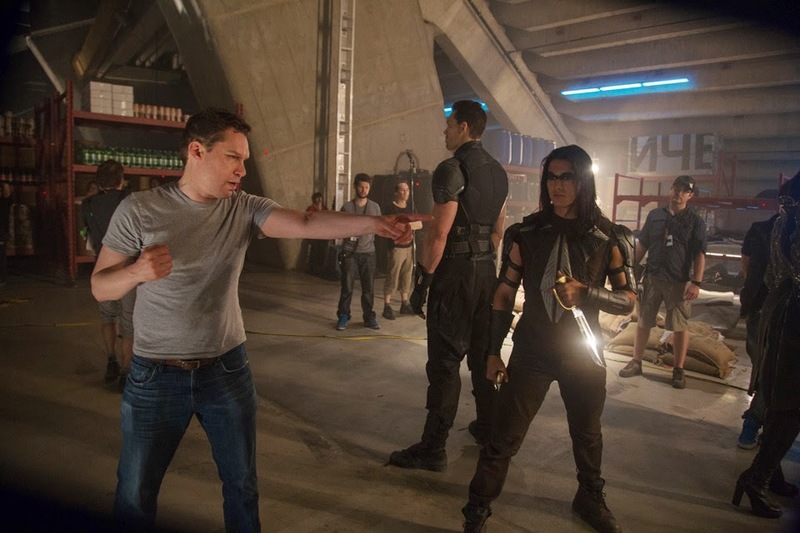 But if you do have the stomach for a fair share of spoilery scenes, head over to the YouTube channel to check them out. 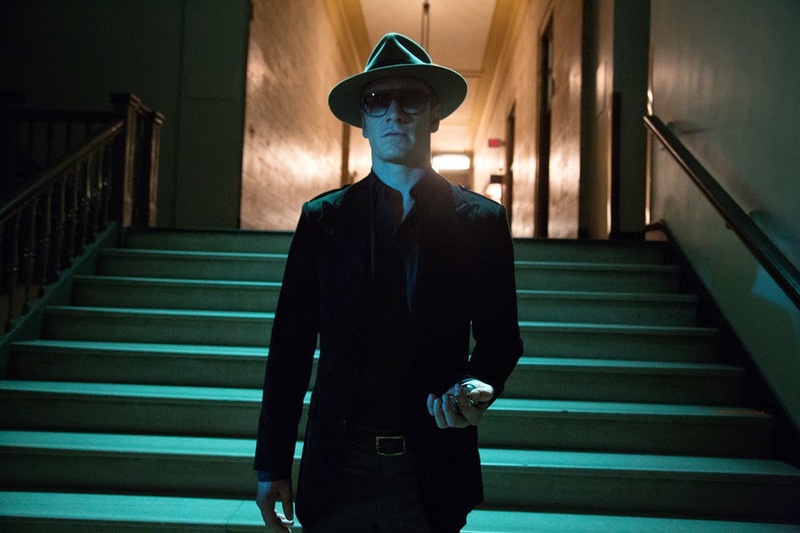 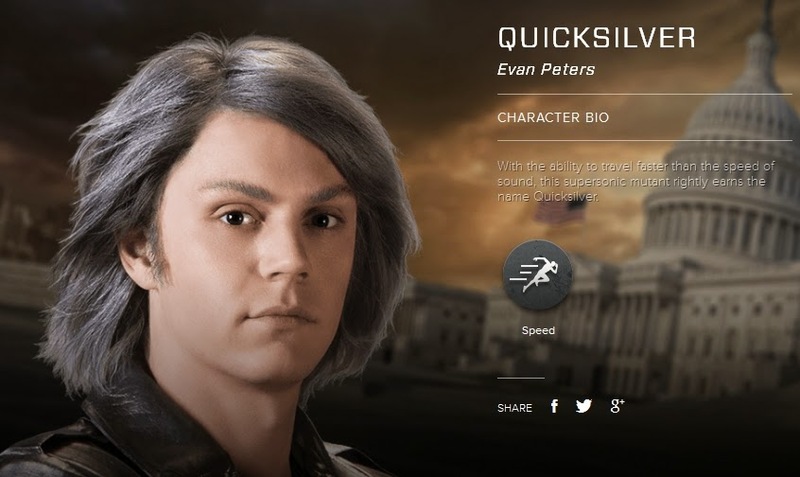 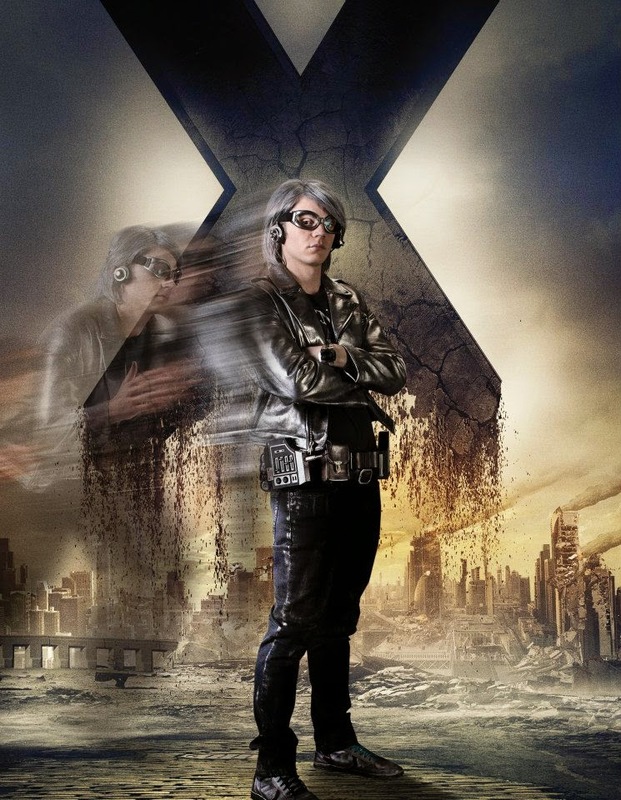 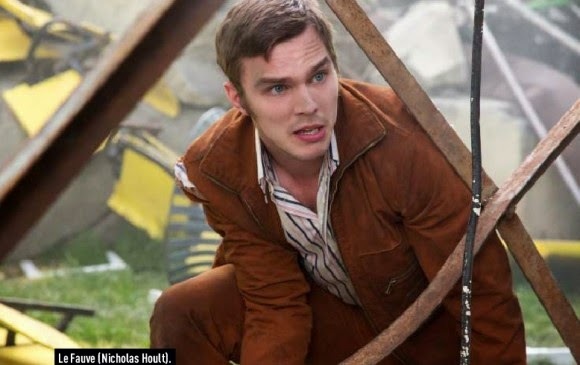 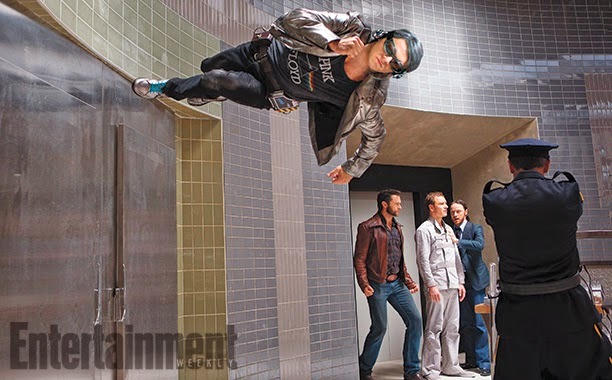 While Evan Peters' portrayal of Quicksilver was largely made fun of thanks to his unflattering costume designs, rave reviews over Peters's performance have been coming in hard and fast, praising the action sequences and moving portrayals by the actor. 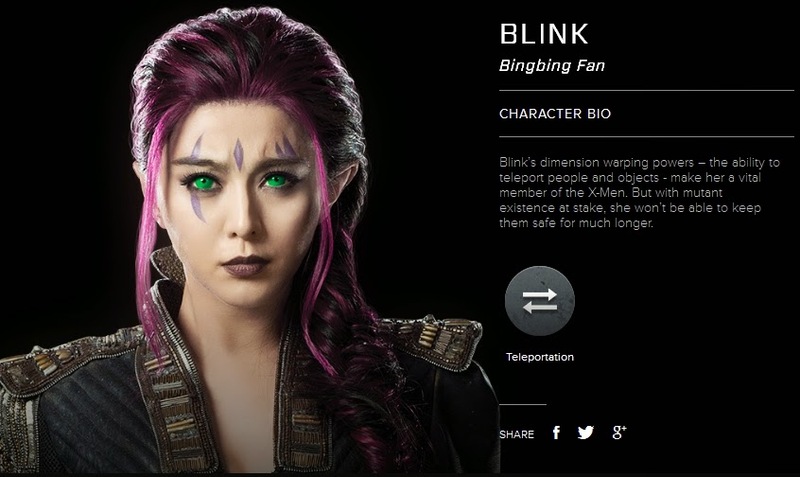 Perhaps this is yet another example of why exactly fans should not be passing judgment prior to watching the actual film. 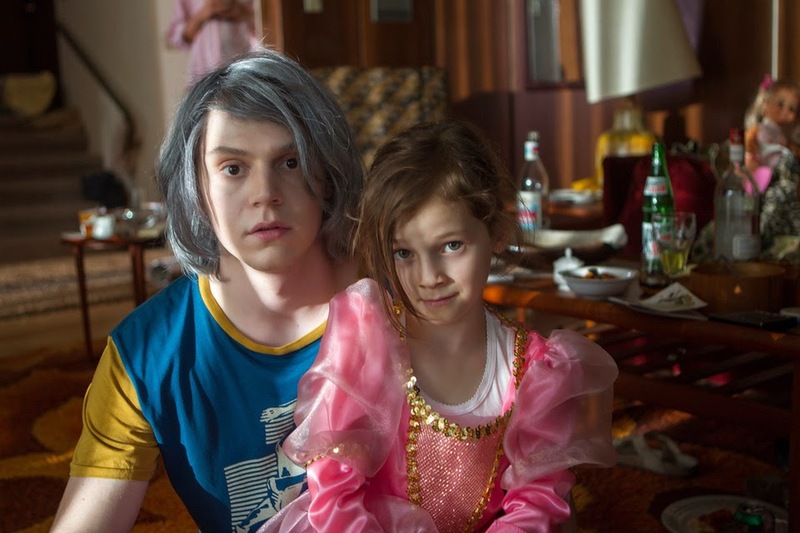 Anyway, Quicksilver once again steals the show with his Carl's Jr/Hardees Bacon cheeseburger ad alongside Daniel Cudmore's Colossus and Jennifer Lawrence's stand-in for Mystique. 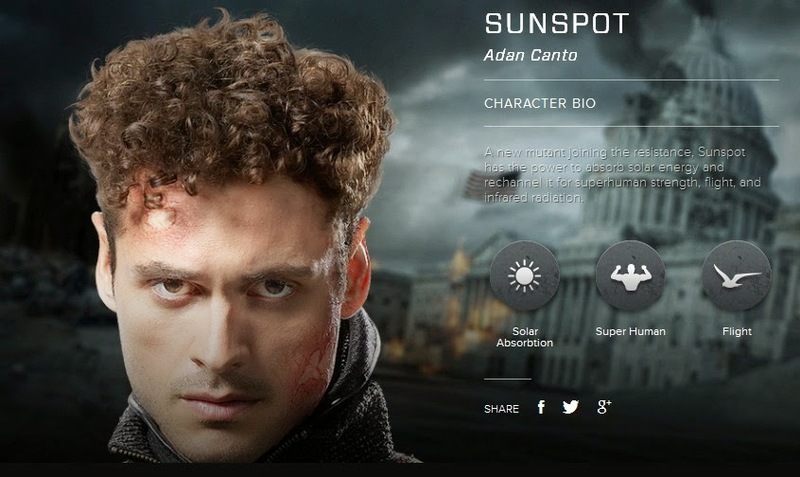 Here are the clips for these commercials. 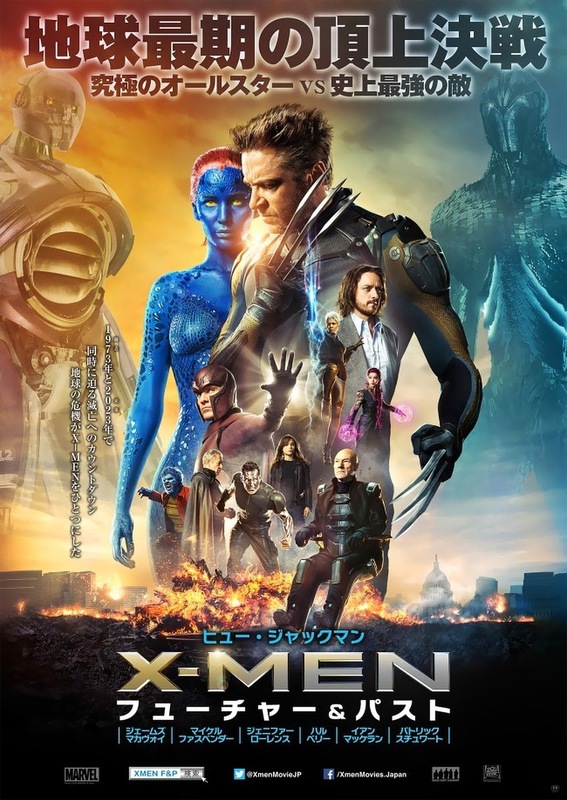 And here are a collection of the recently-released posters for the film, a notable improvement over the uneven campaign earlier on. 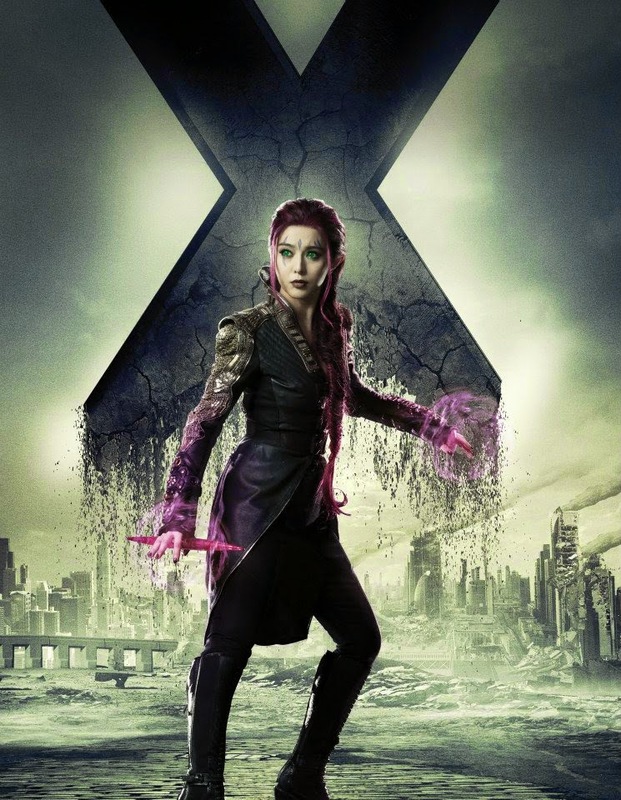 First up, courtesy of Omelette, here's a series of twenty-three character posters that are essentially the same images from the twenty-five Empire Magazine covers with the omission of director Bryan Singer and Anna Paquin's Rogue. 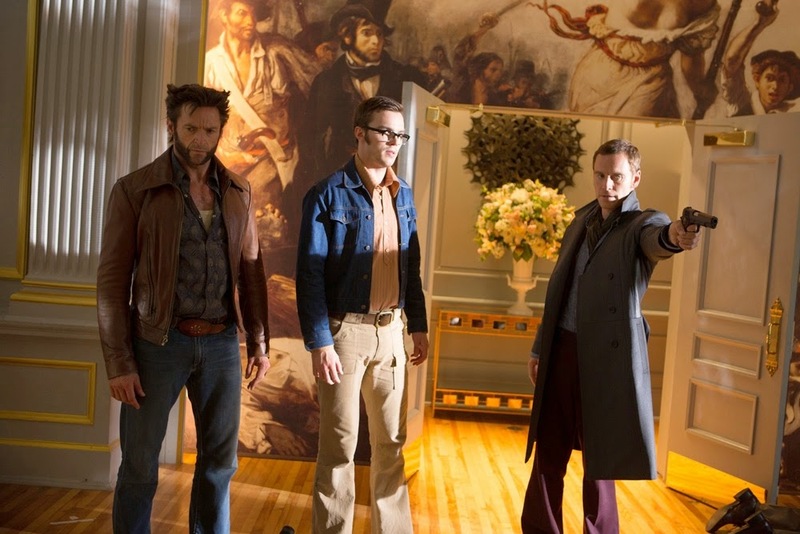 Some awesome ensemble shots for the obvious banner types. 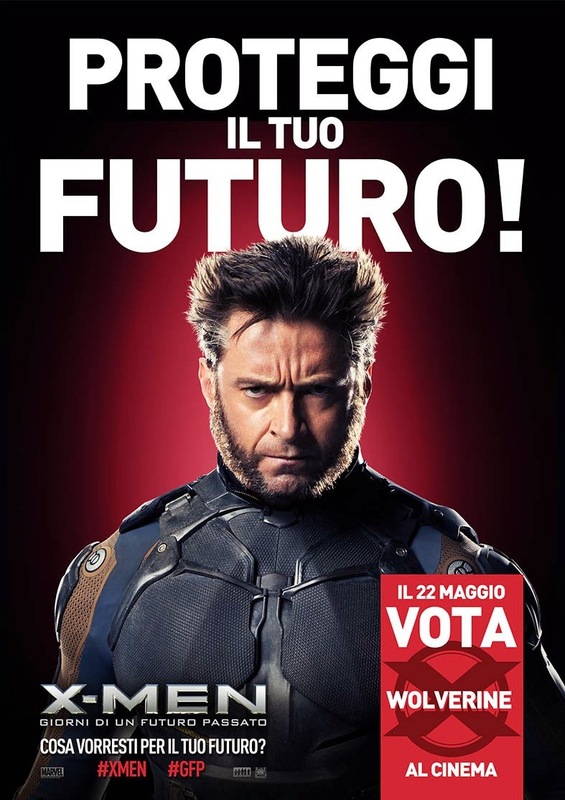 Posters for the international market. 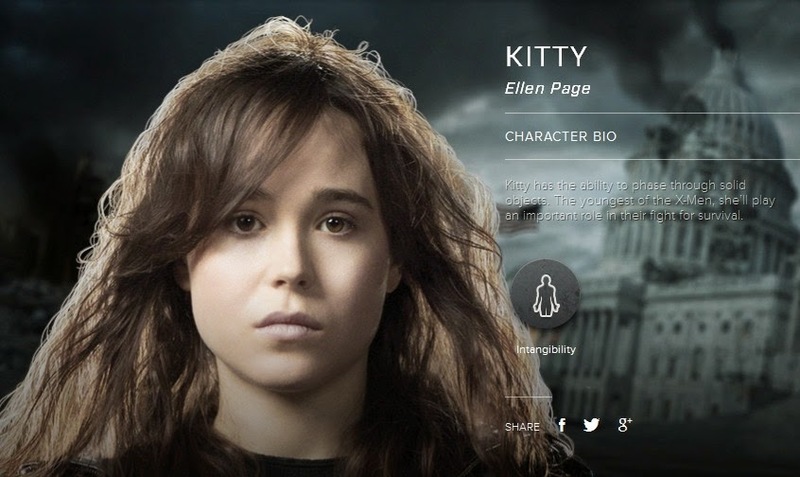 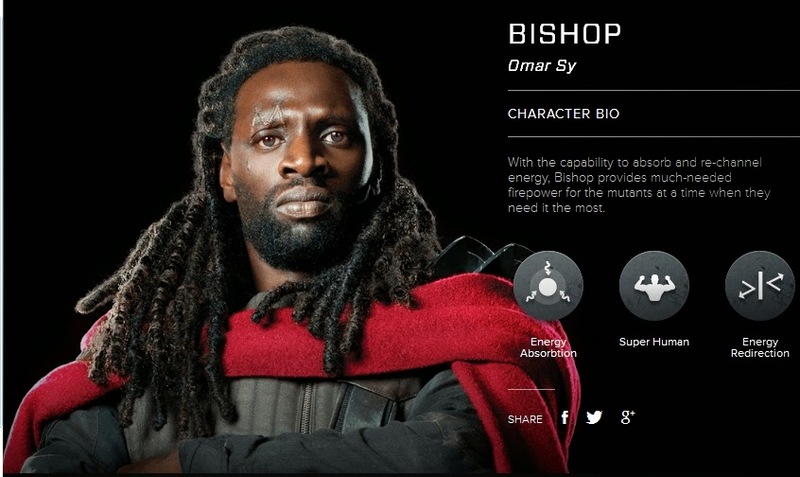 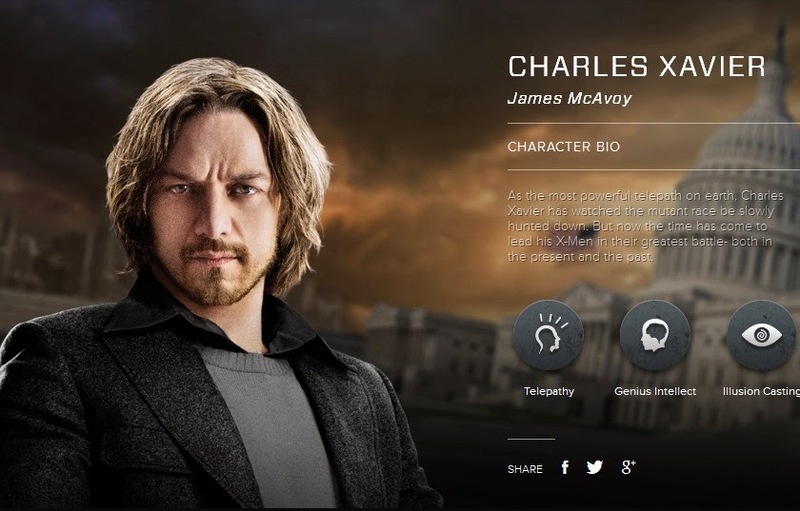 Character bios for a good portion of the ensemble featured in the film. 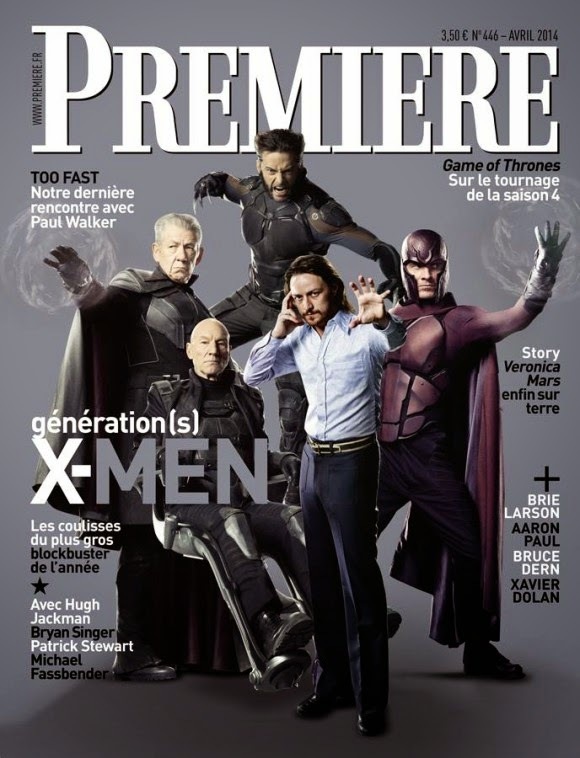 Cover of the French Premiere. 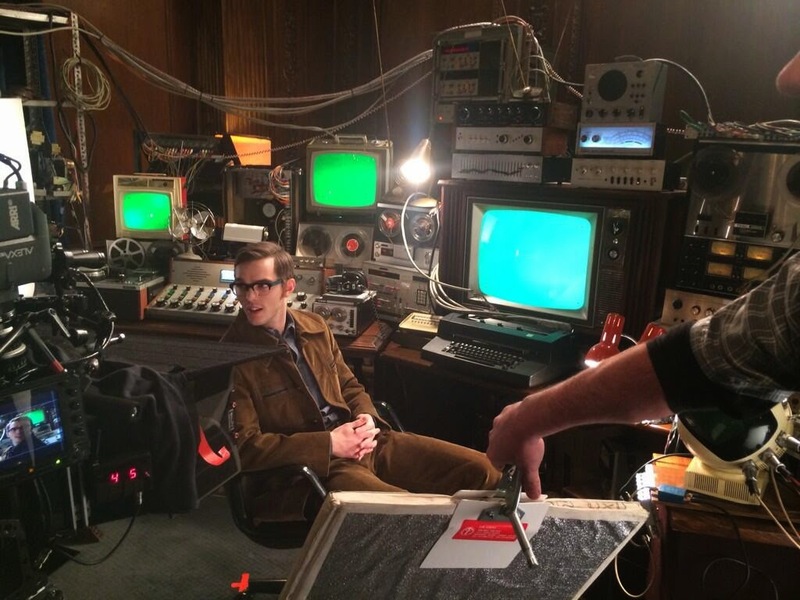 More set photos from the film. 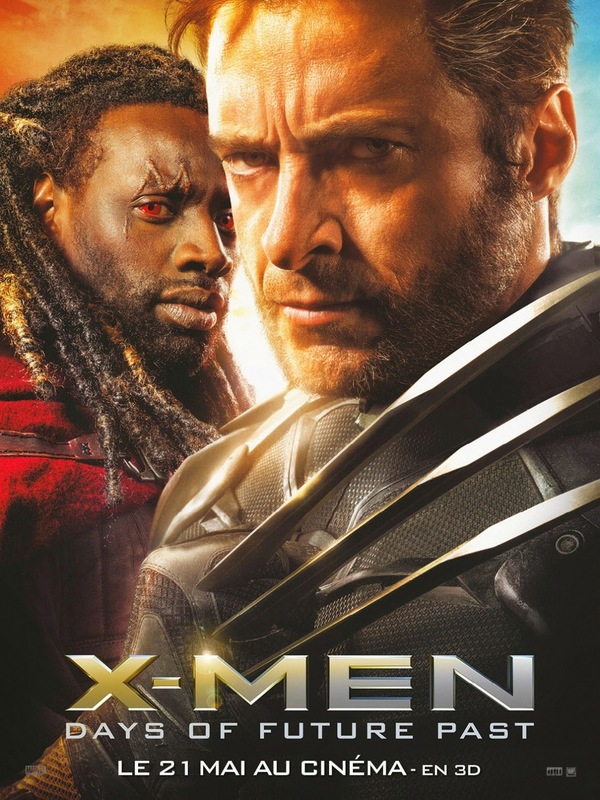 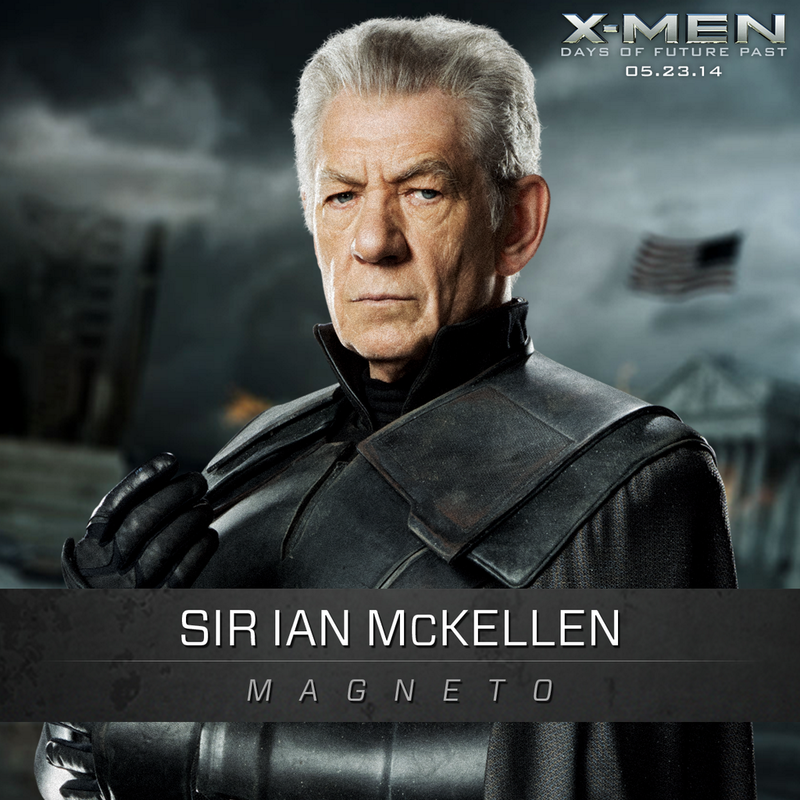 Directed by Bryan Singer and starring an incredible ensemble cast featuring Ian McKellen, Hugh Jackman, Patrick Stewart, James McAvoy, Michael Fassbender, Jennifer Lawrence, Nicholas Hoult, Anna Paquin, Ellen Page, Shawn Ashmore, Peter Dinklage, Omar Sy, Halle Berry, Daniel Cudmore, Fan Bingbing, Evan Peters, Josh Helman, Lucas Till and Boo Boo Stewart, X-Men: Days of Future Past is out now in all fine theaters.